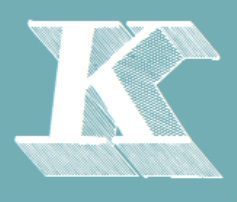 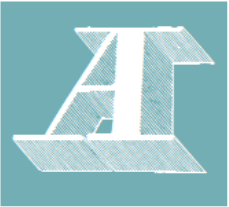 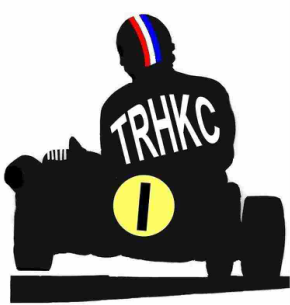 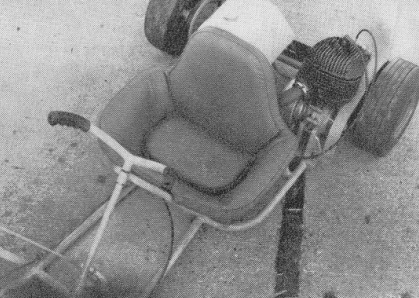 The A/Z's will have a lot more detail to help you identify karts and engines and will ONLY feature ORIGINAL karts and engines, No Replicas. 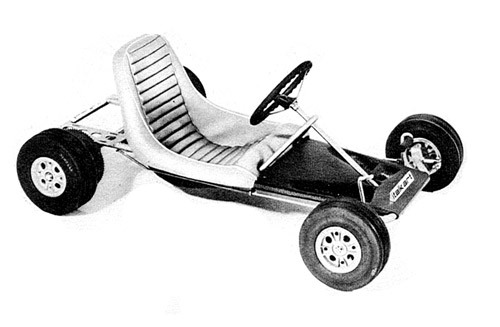 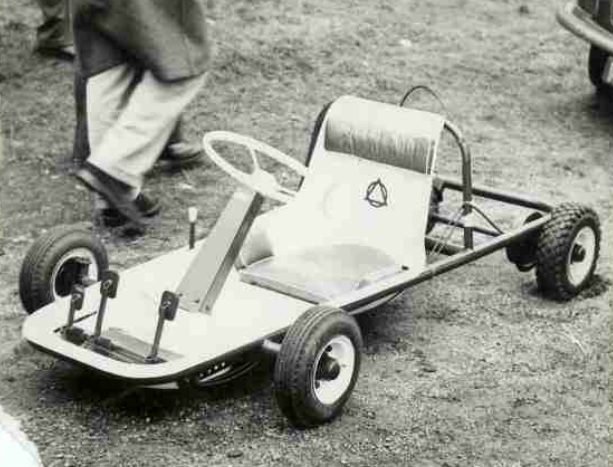 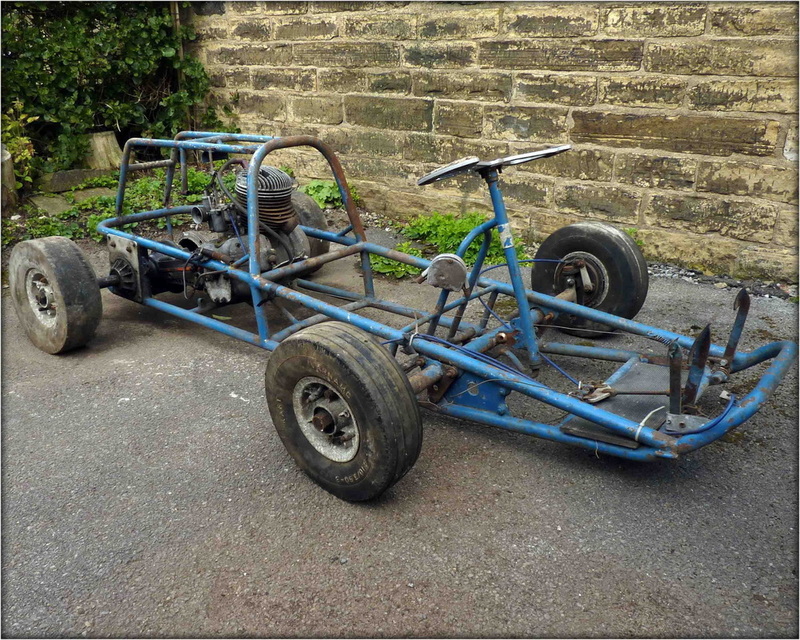 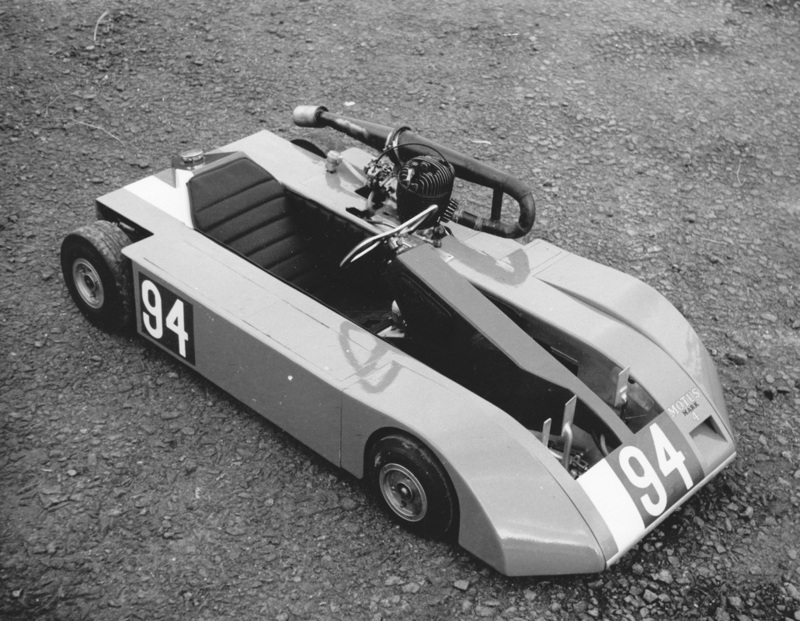 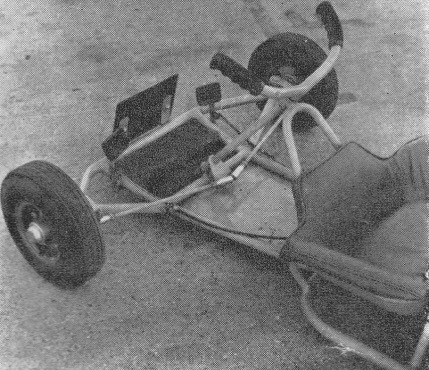 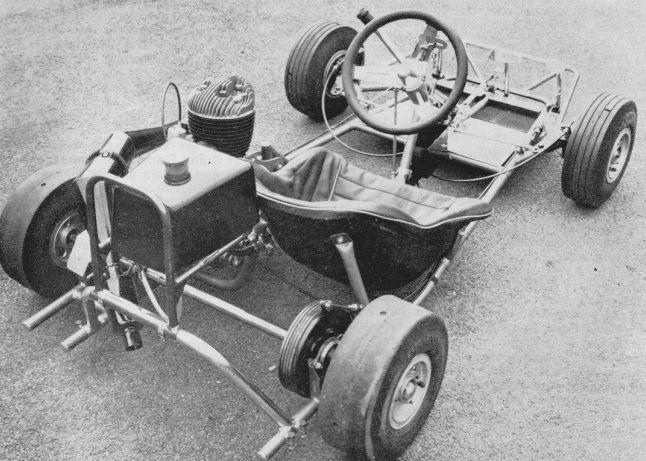 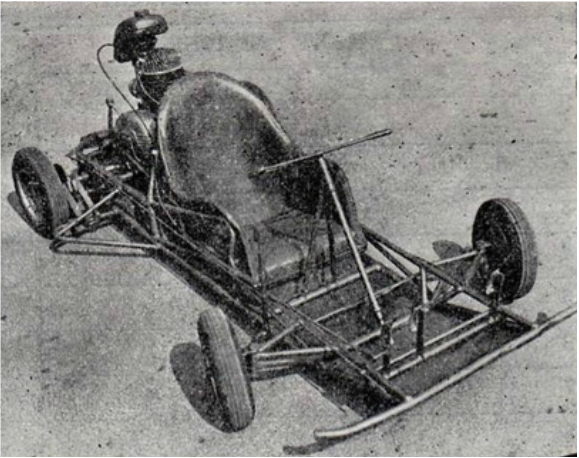 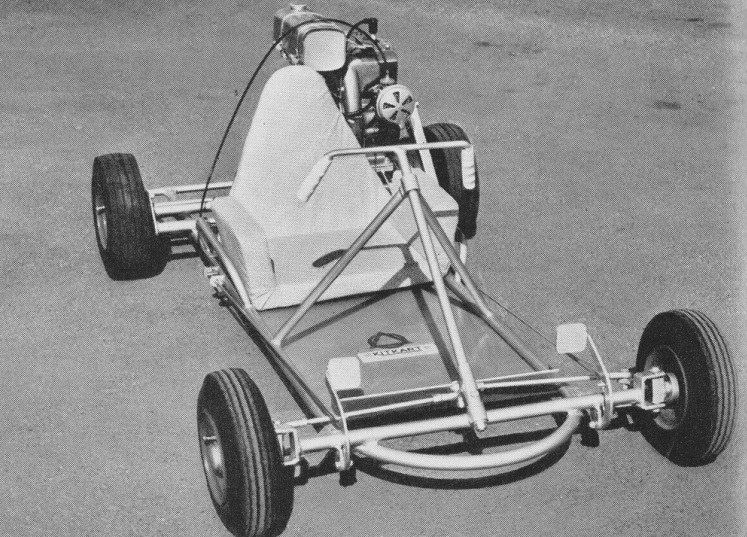 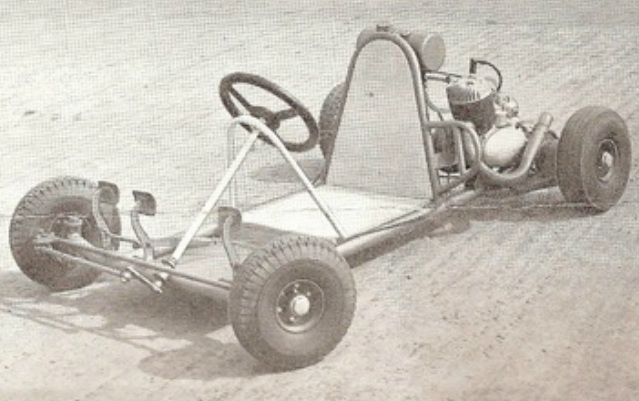 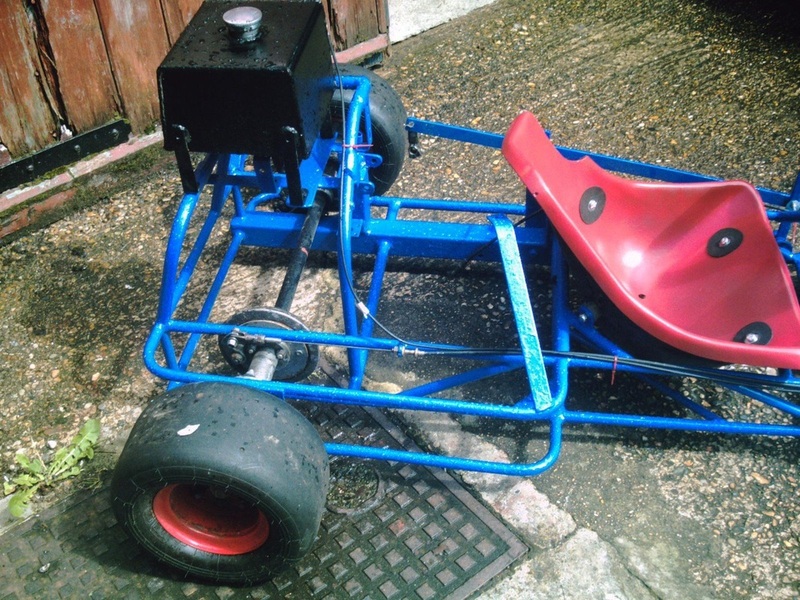 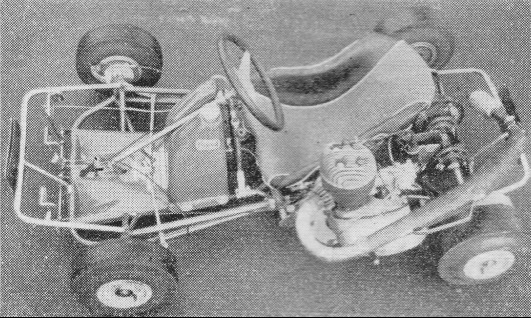 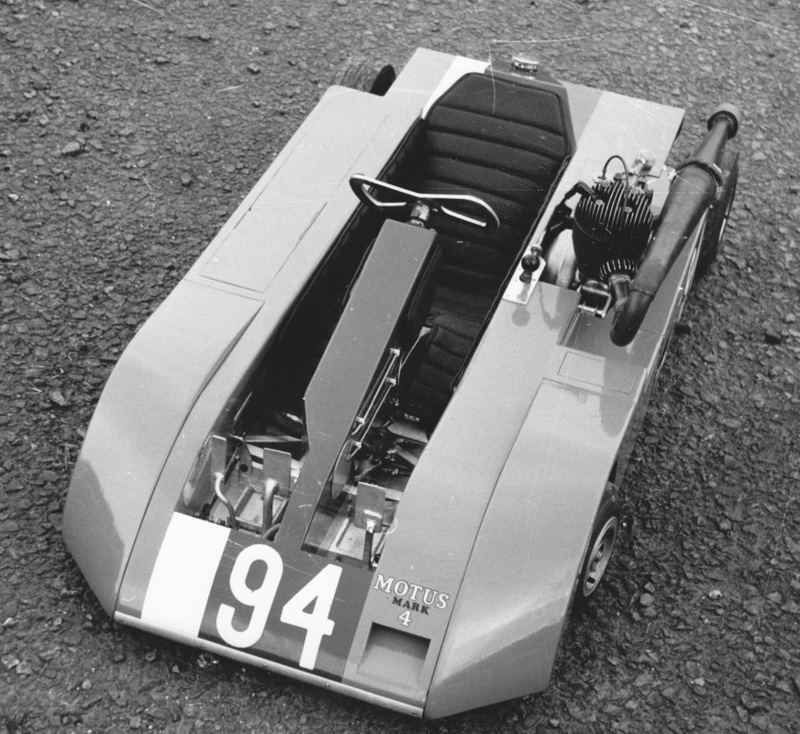 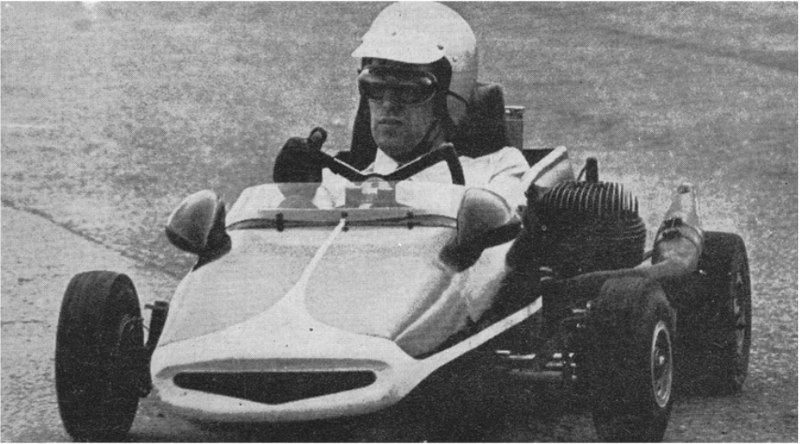 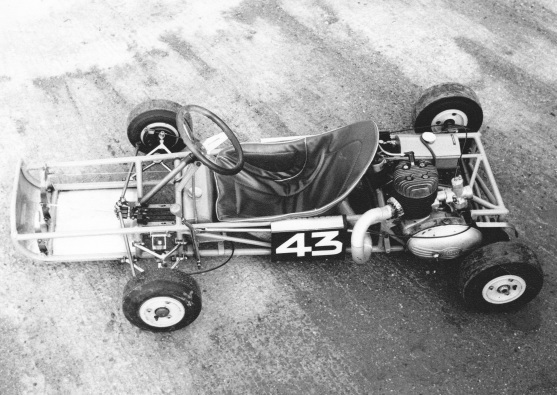 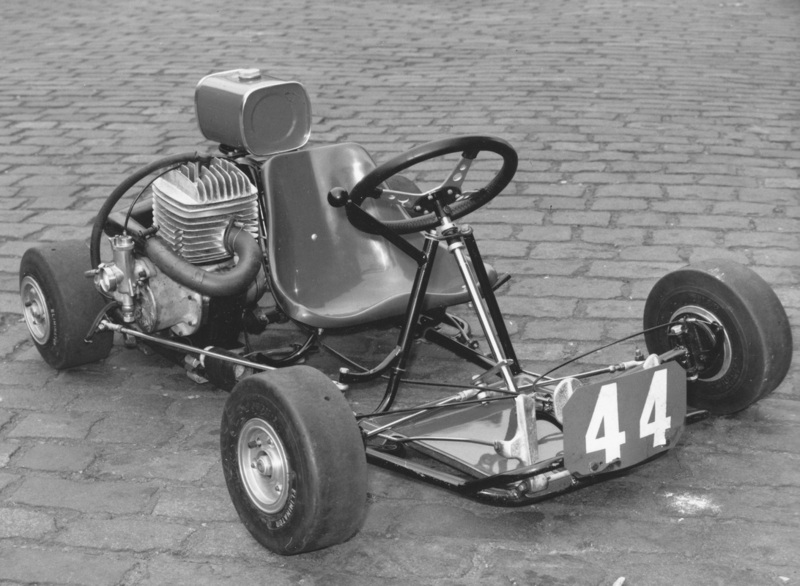 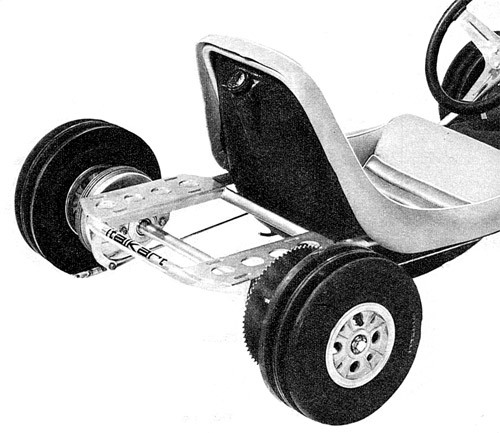 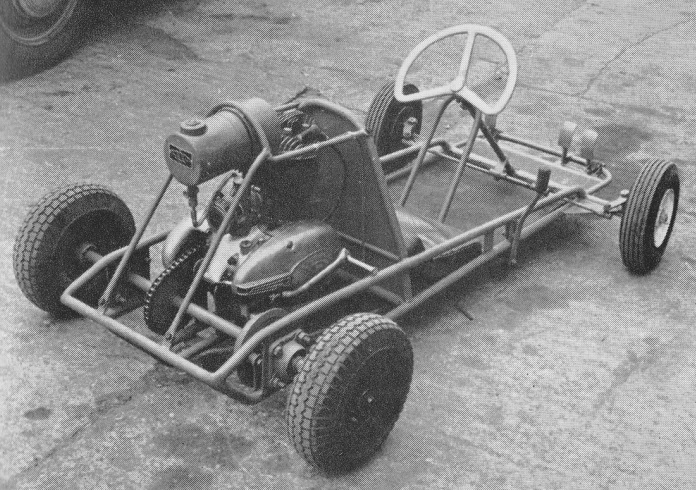 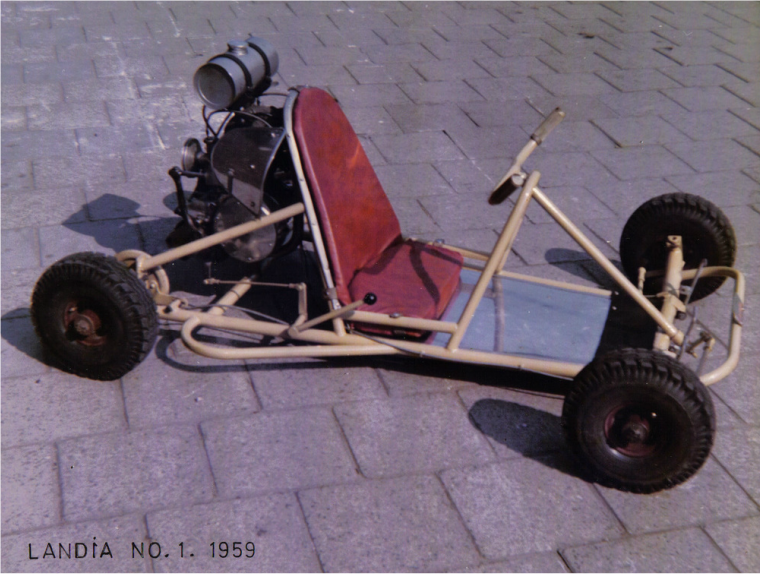 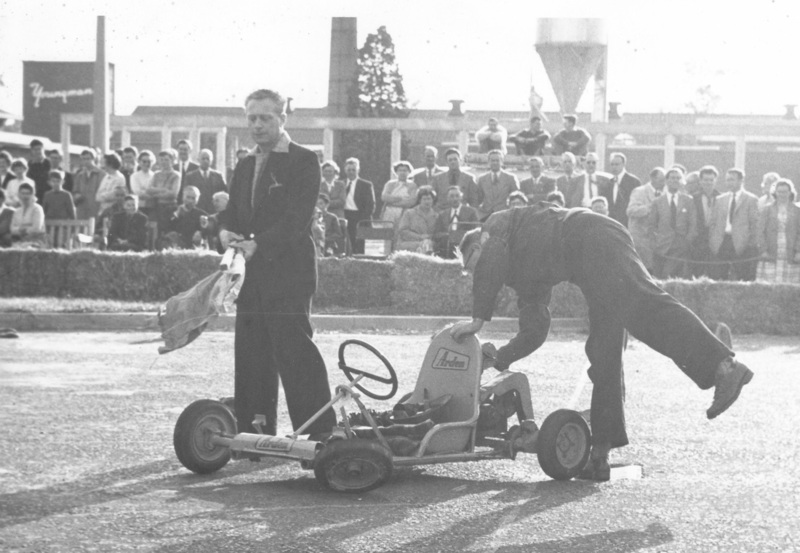 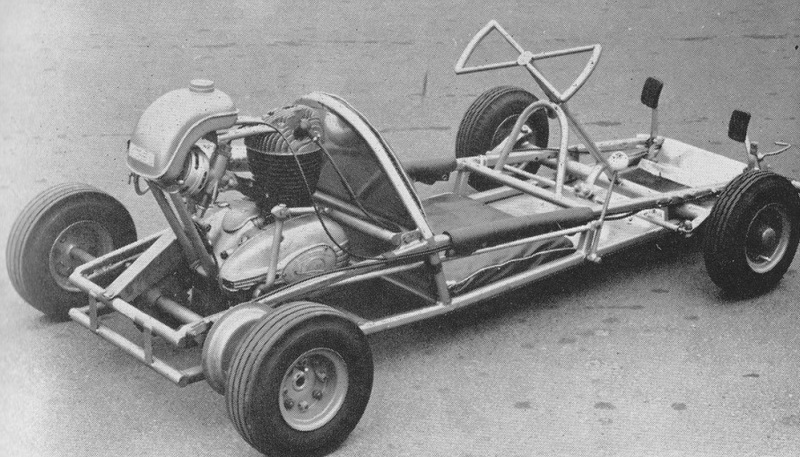 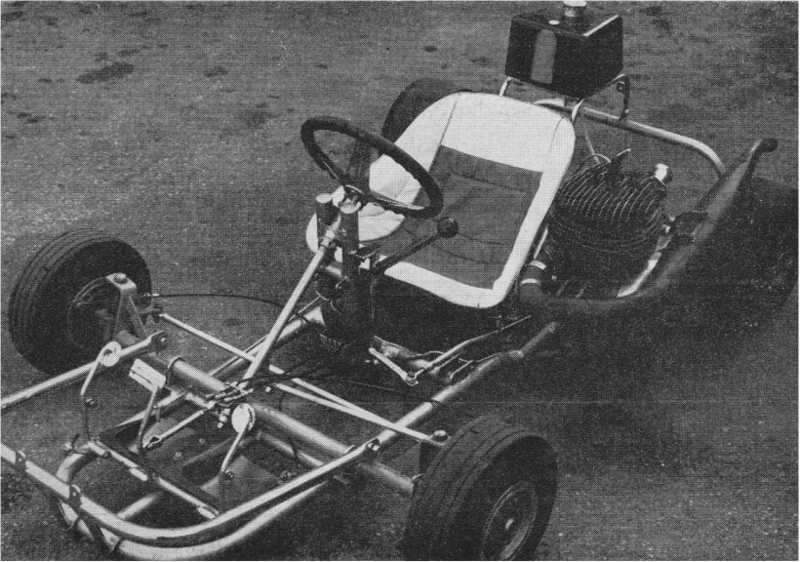 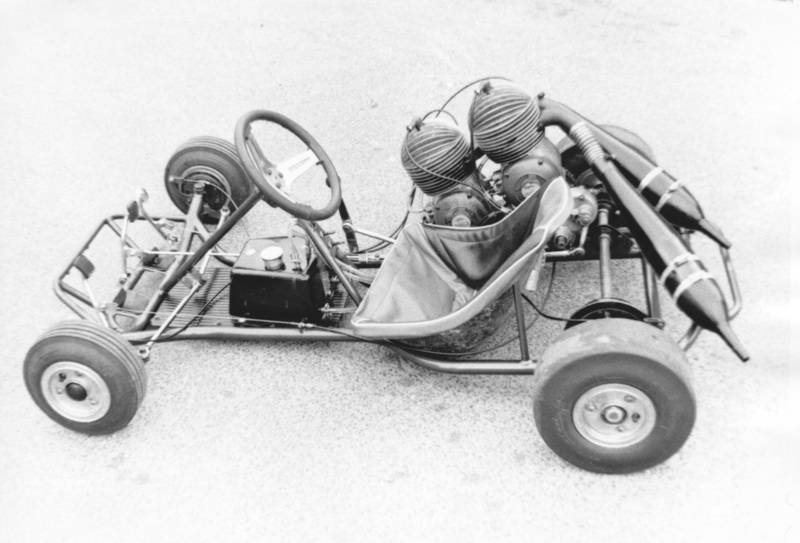 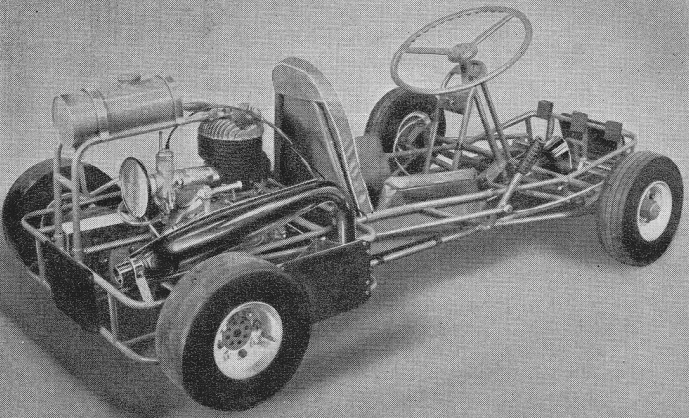 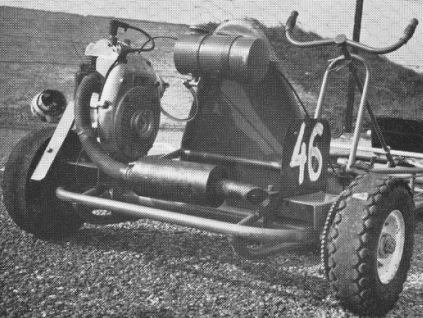 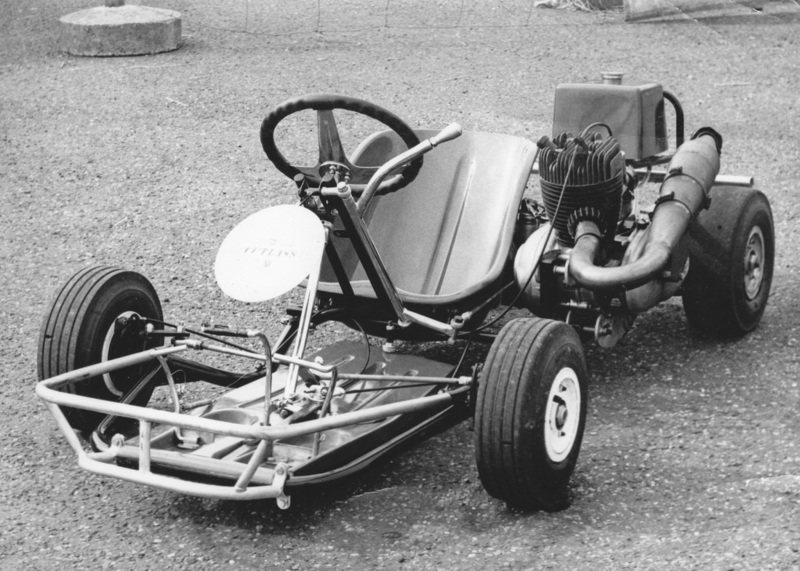 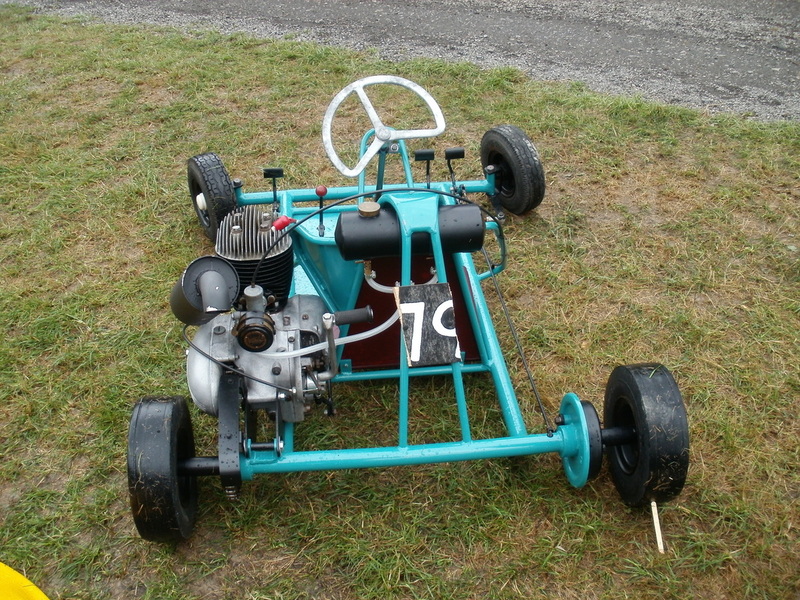 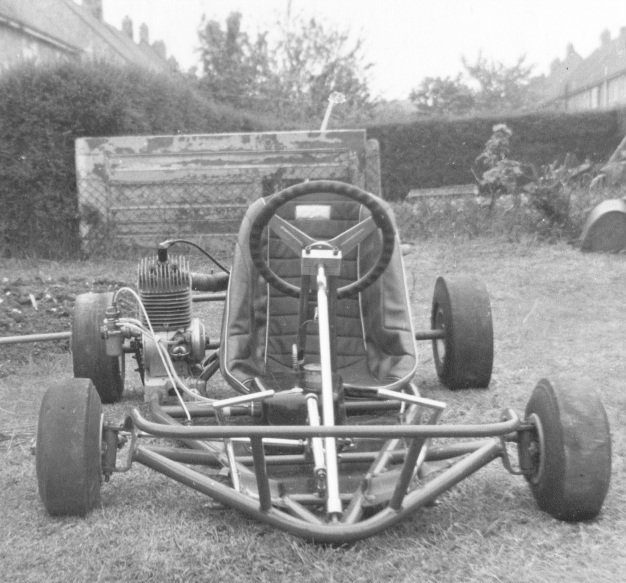 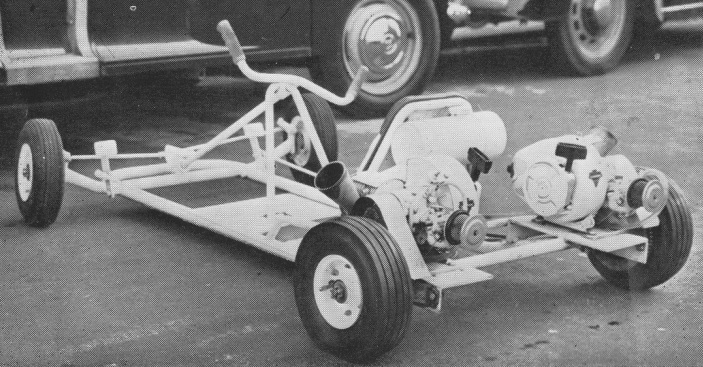 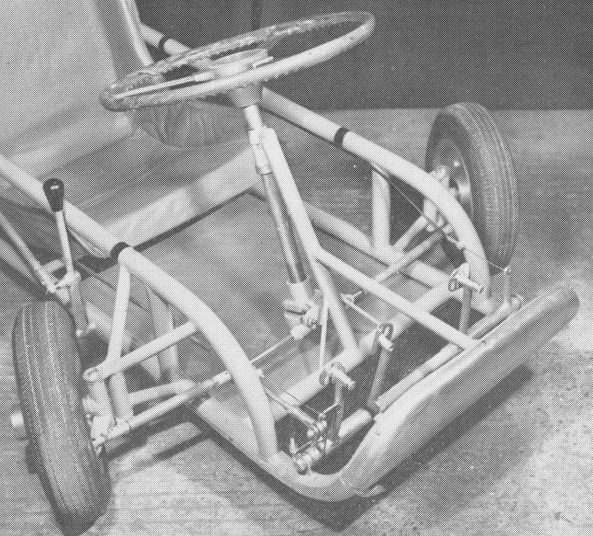 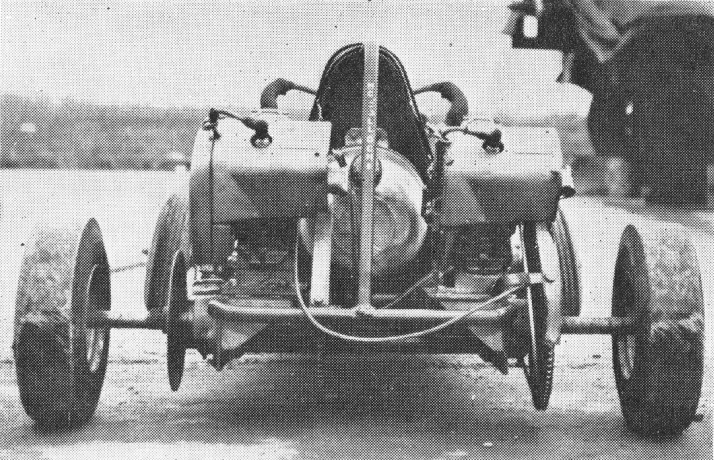 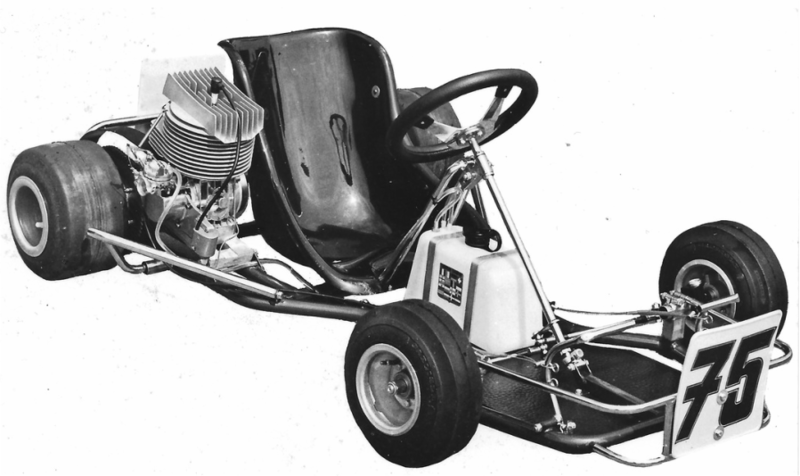 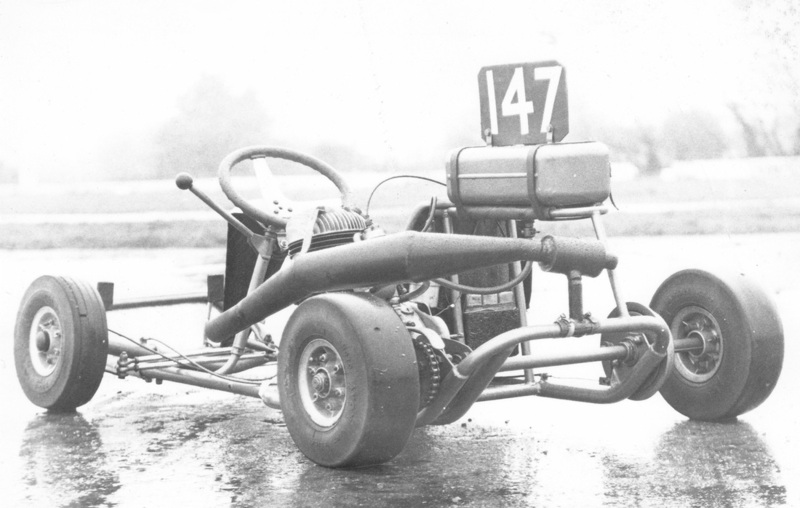 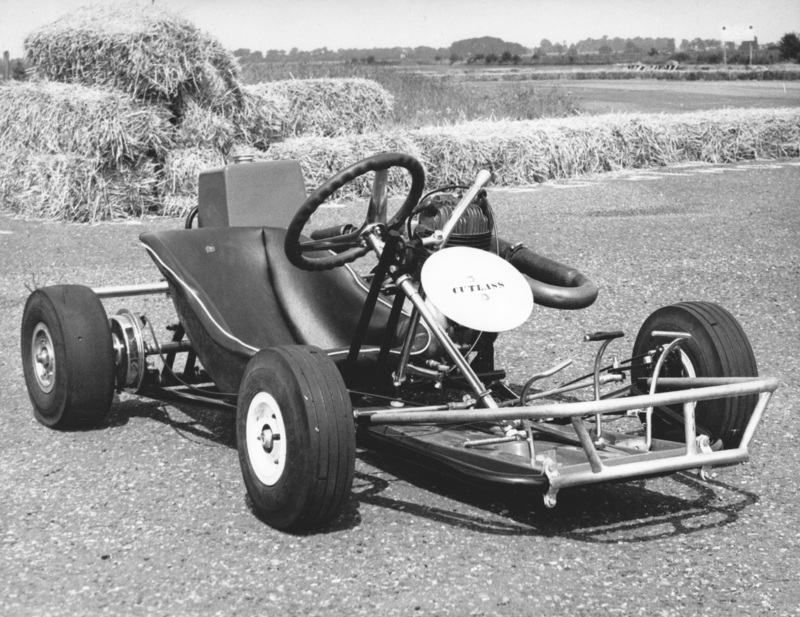 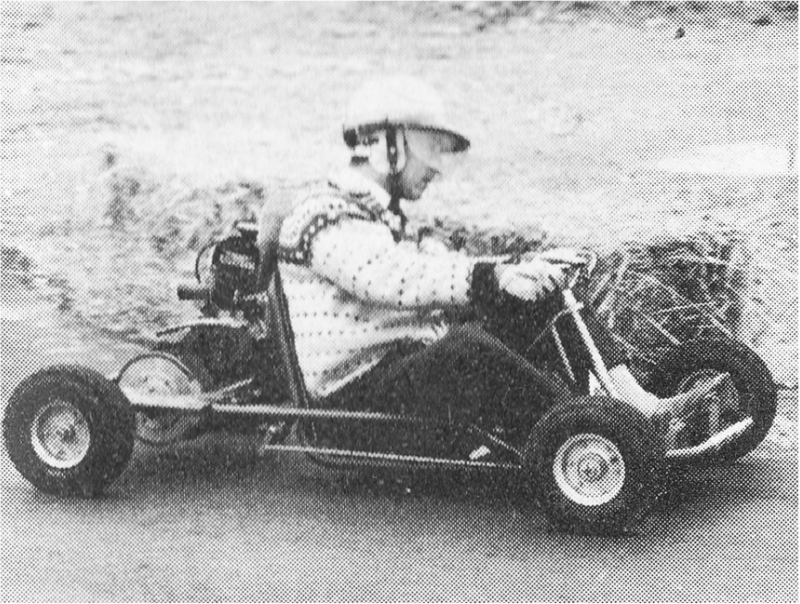 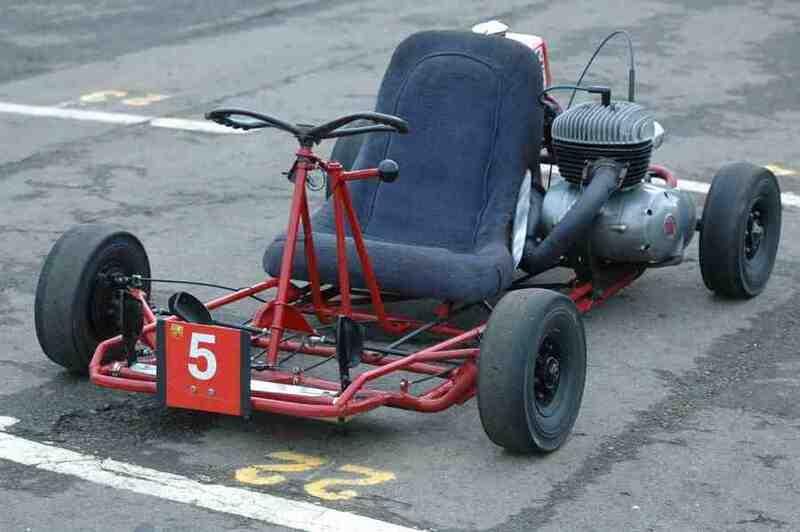 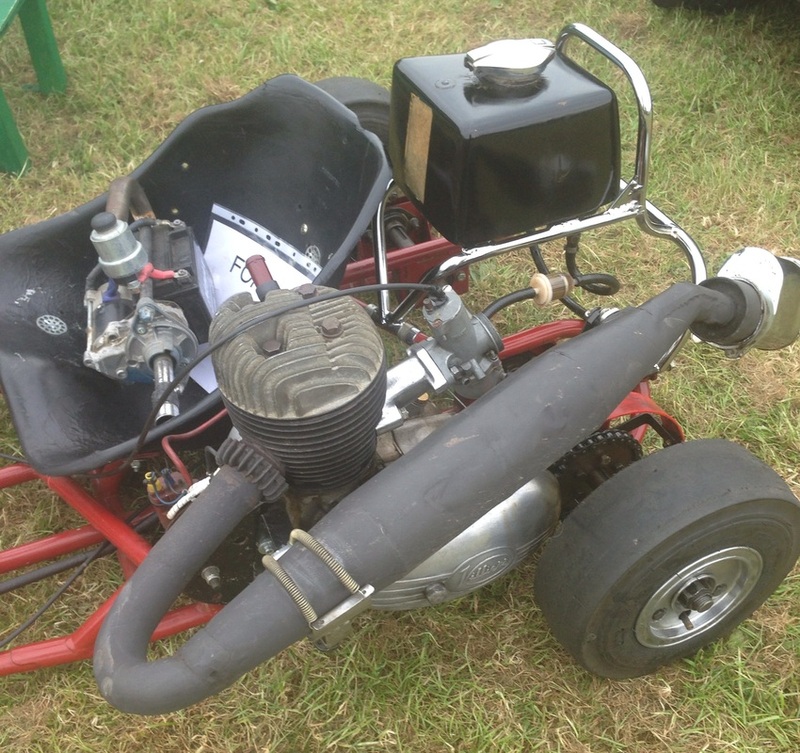 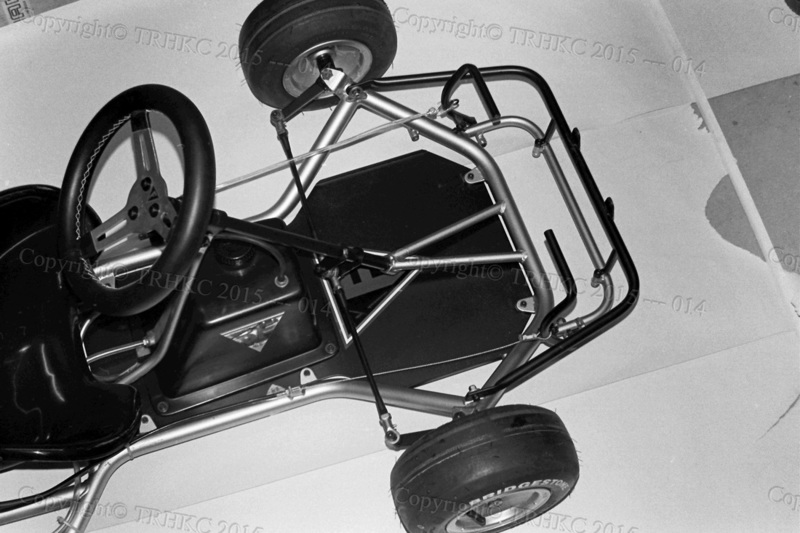 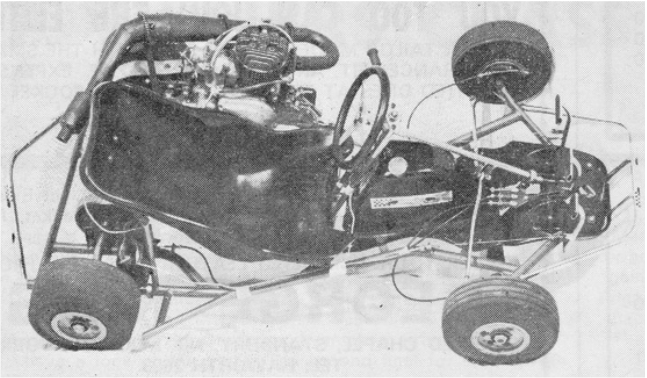 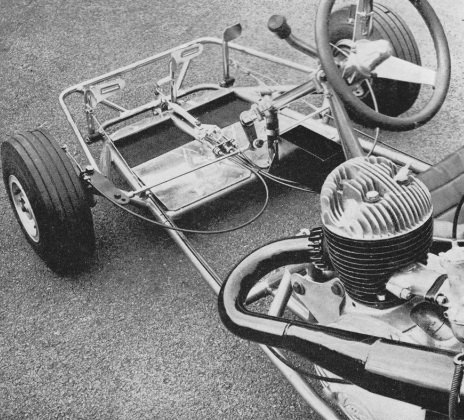 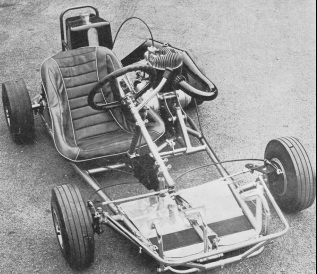 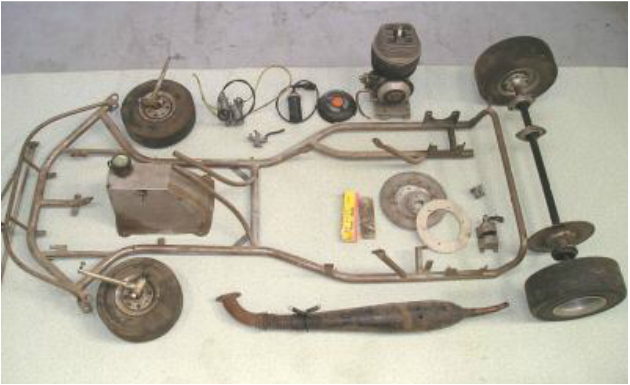 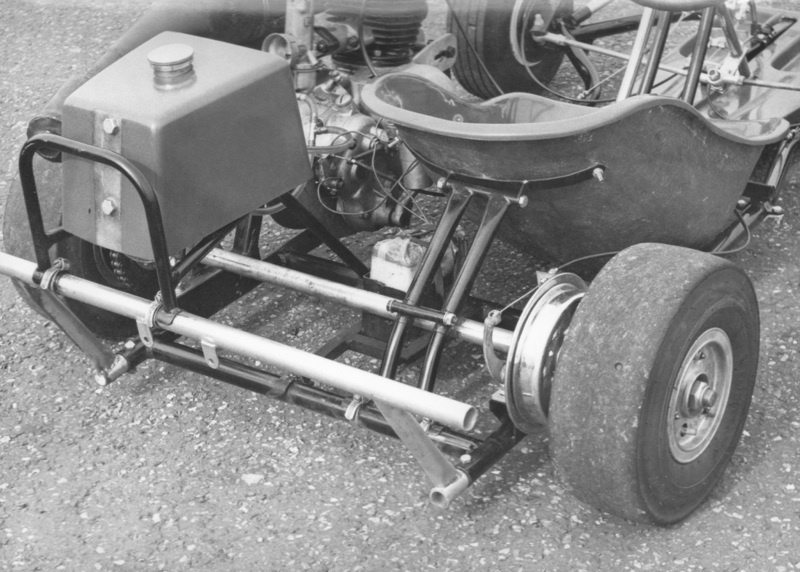 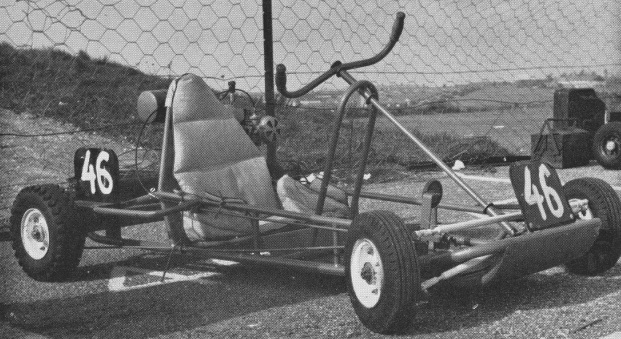 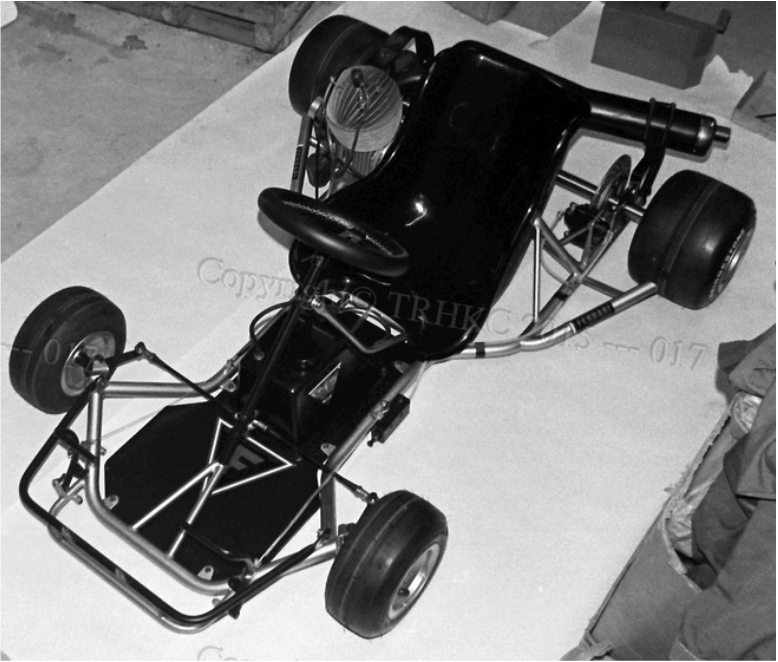 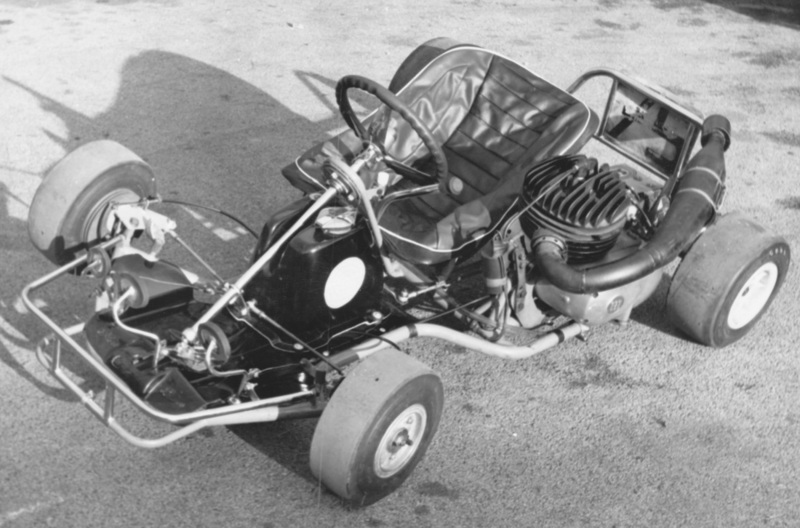 This kart was built by Mr R.J Smith of Reading as a one-off special. 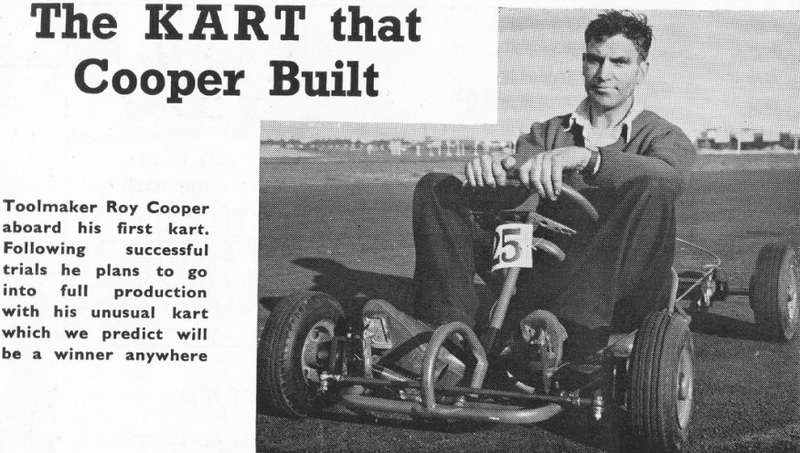 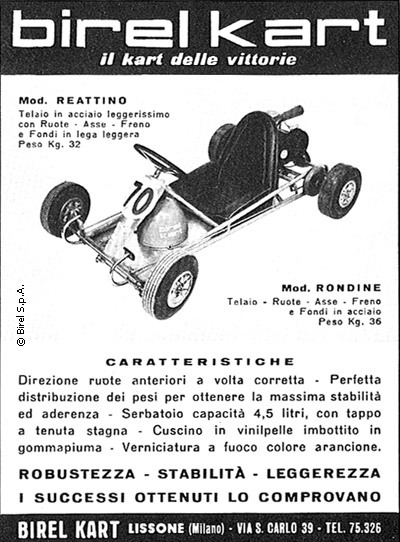 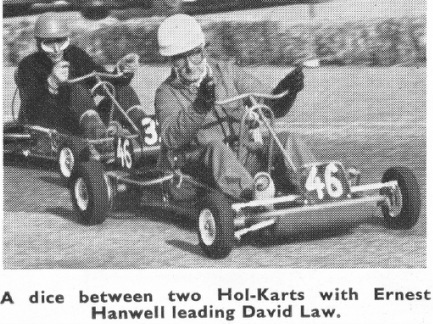 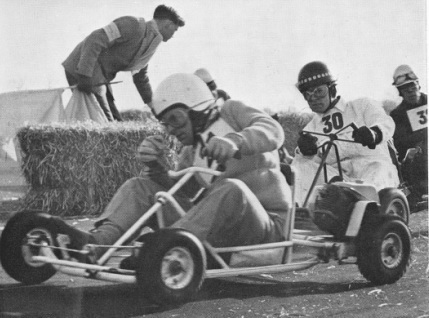 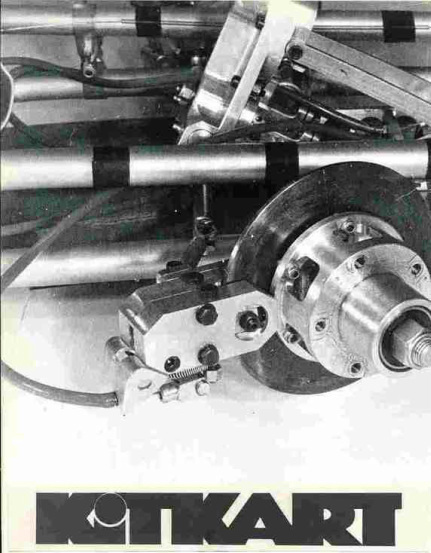 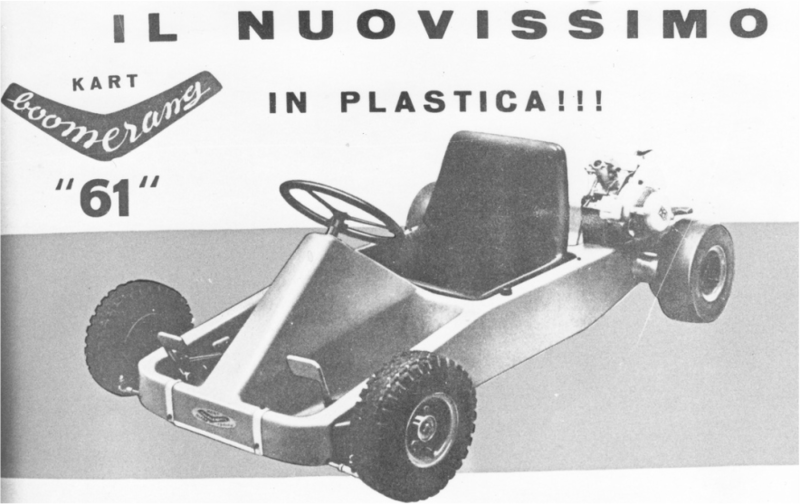 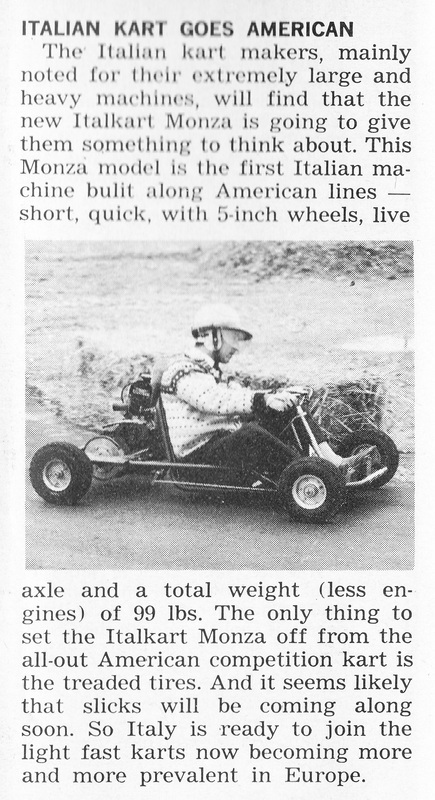 More Info: Page 4, Karting Magazine: March 1960. 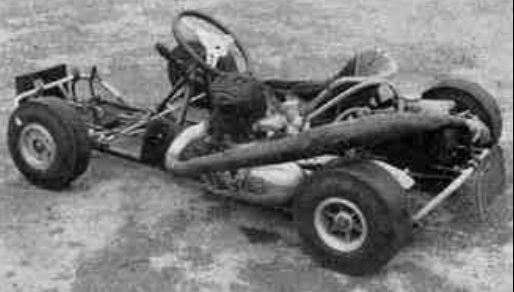 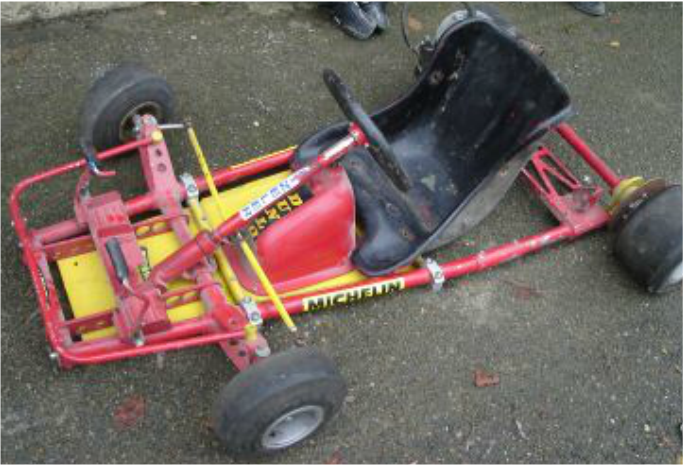 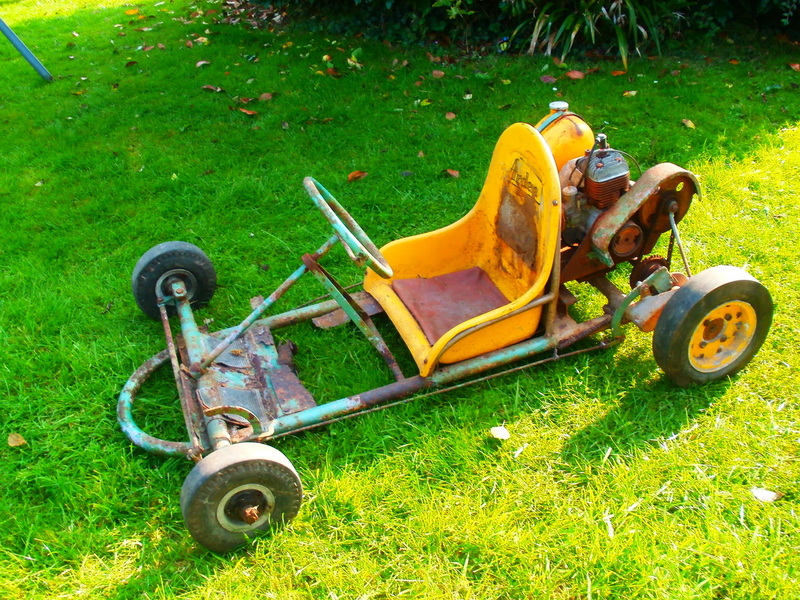 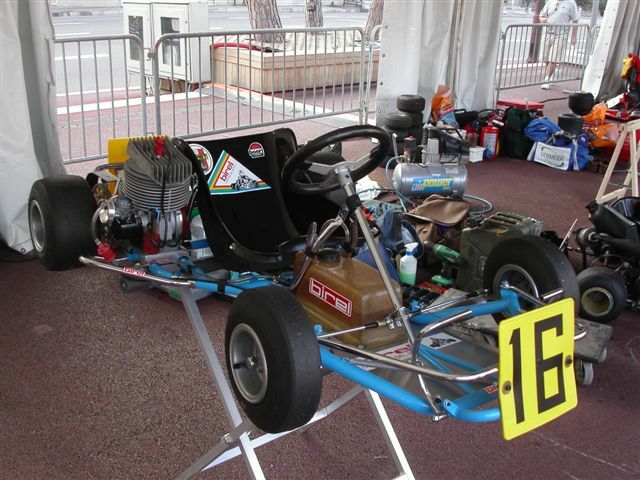 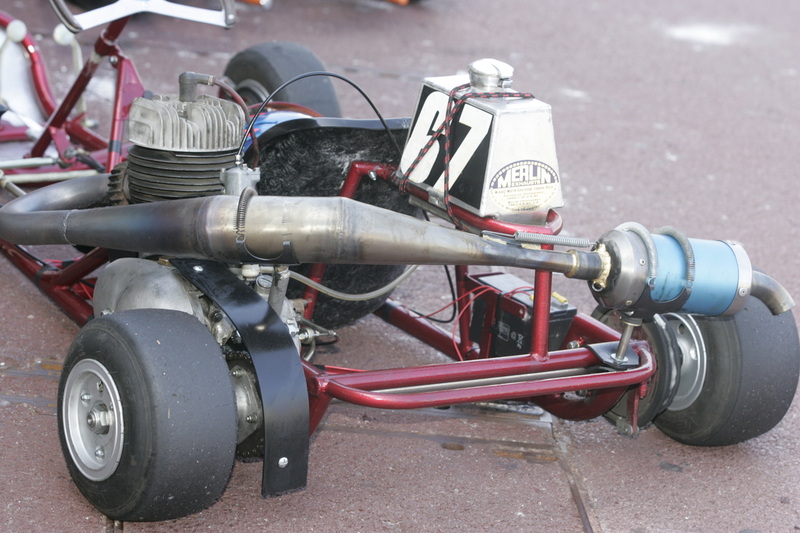 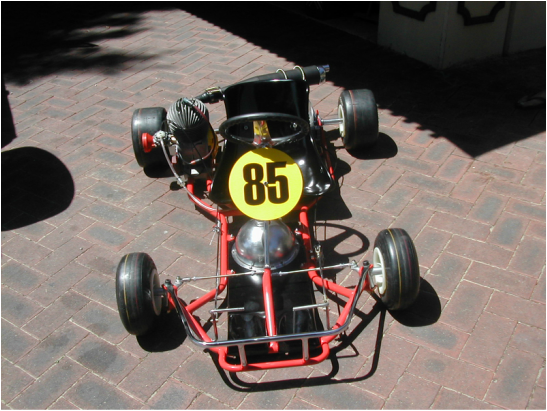 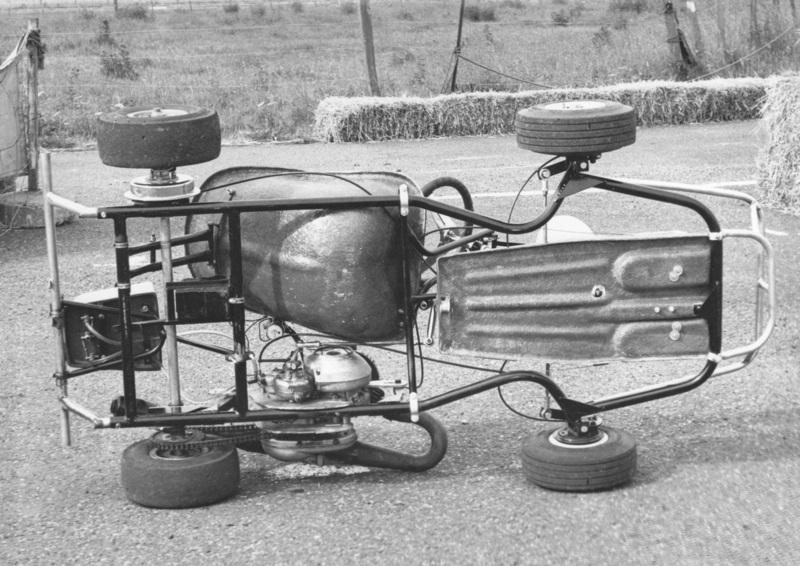 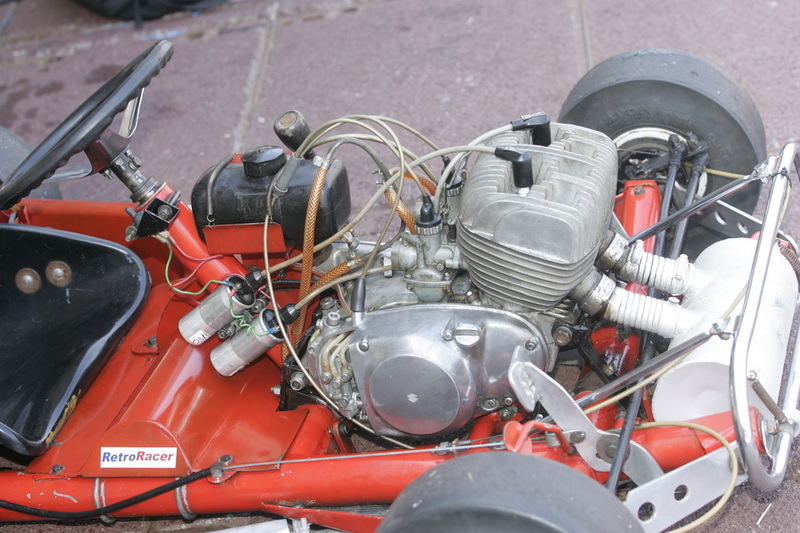 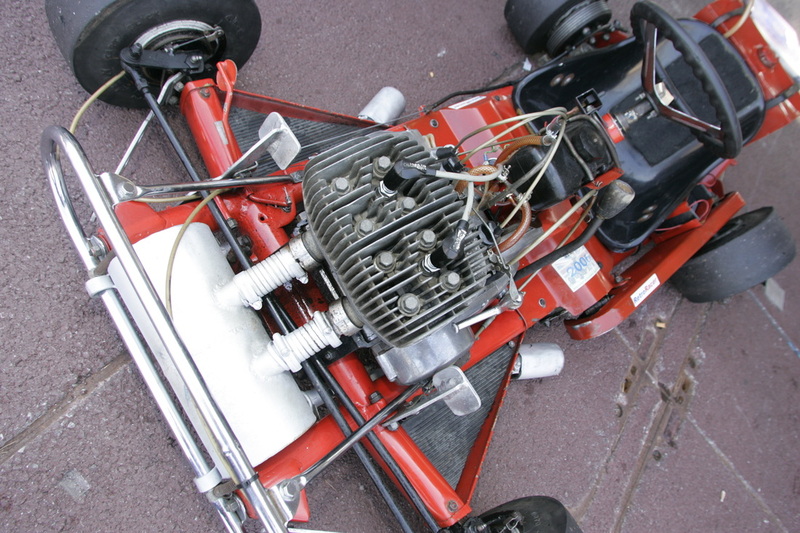 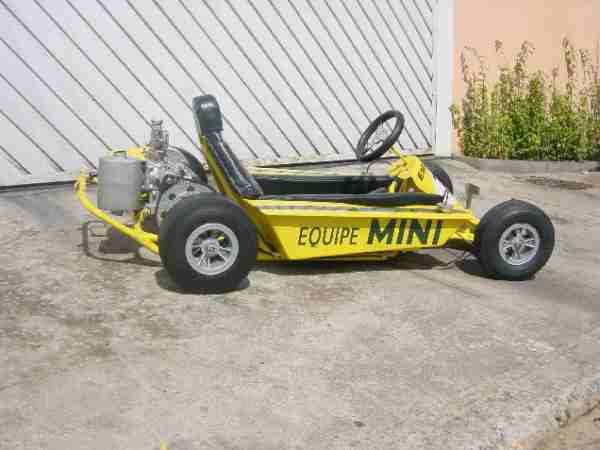 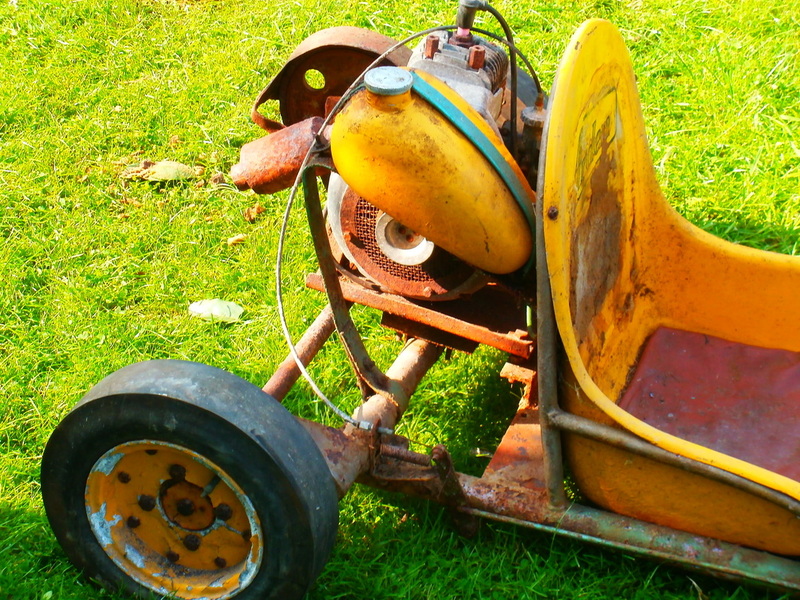 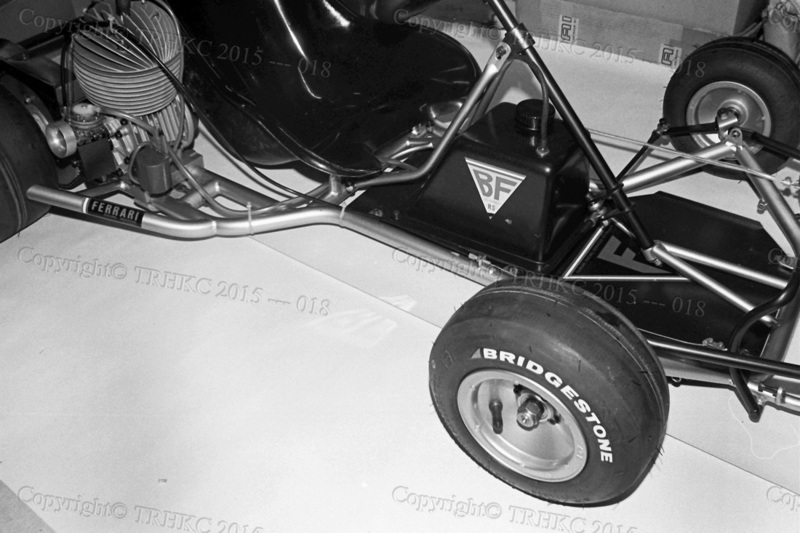 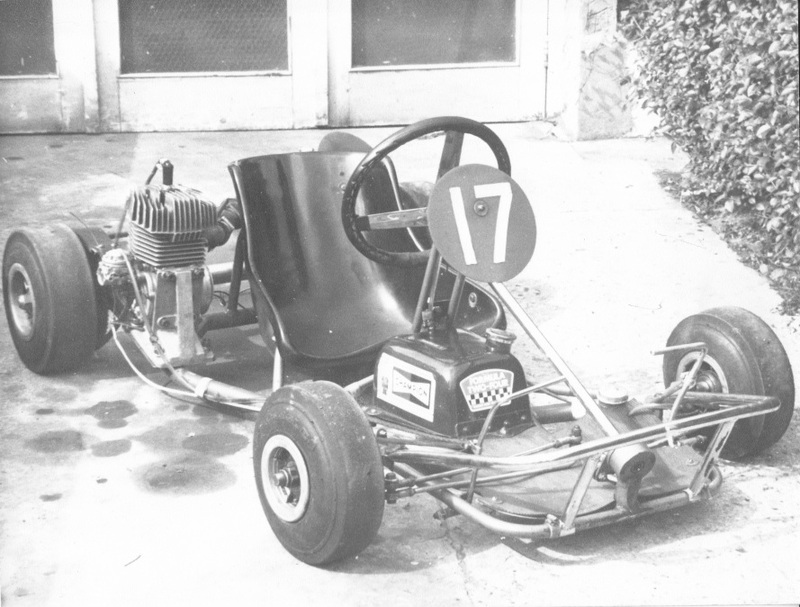 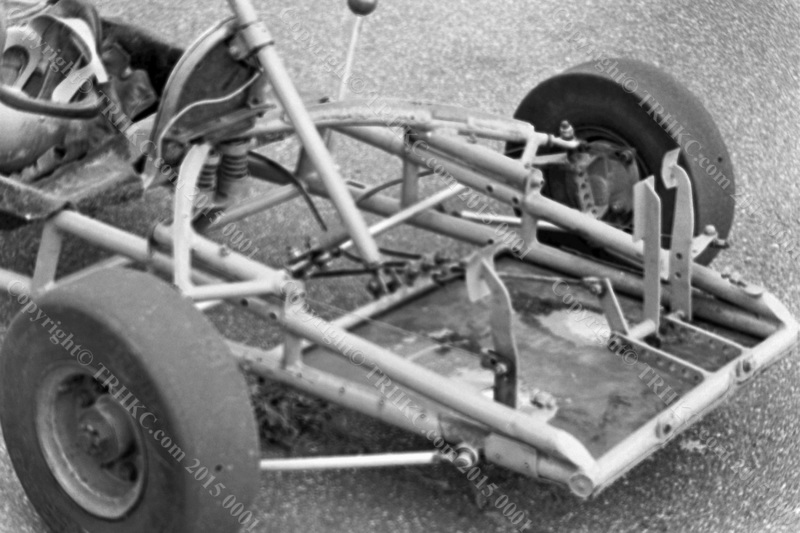 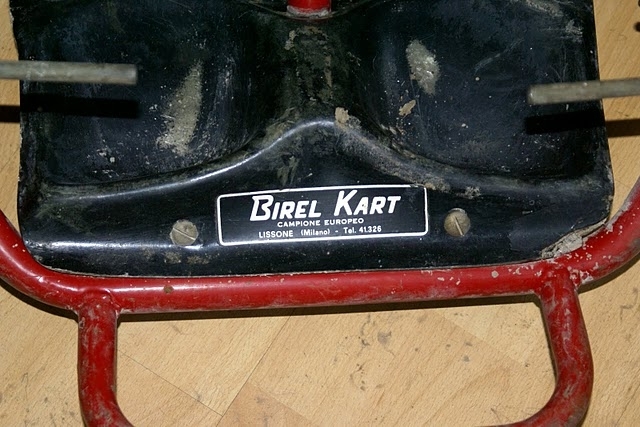 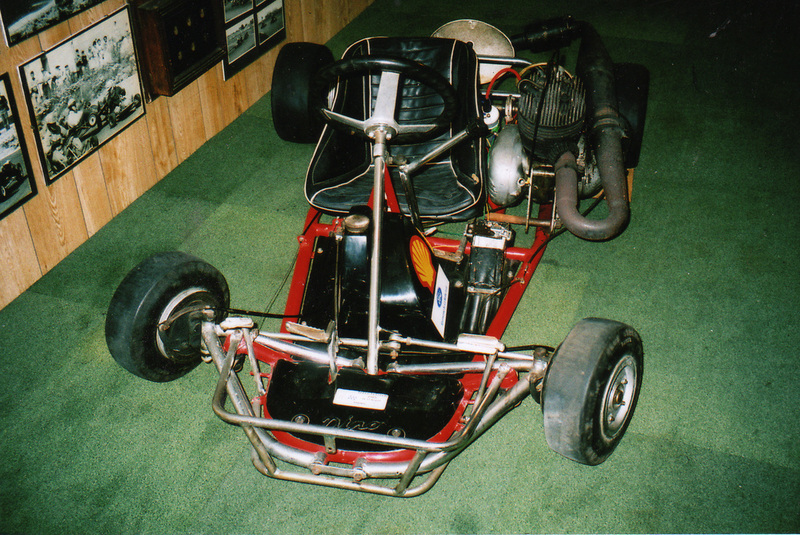 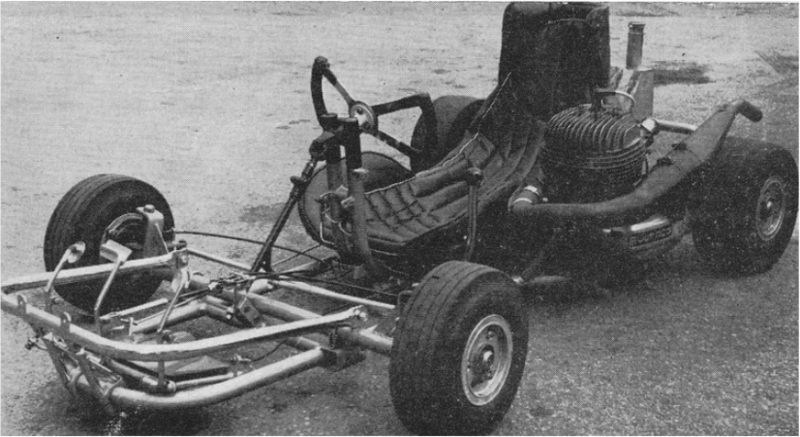 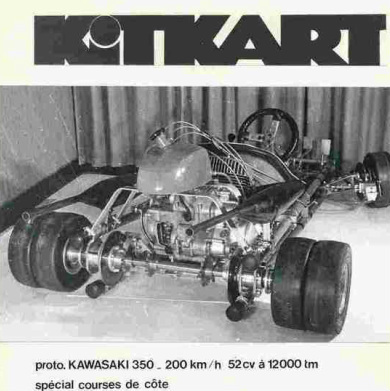 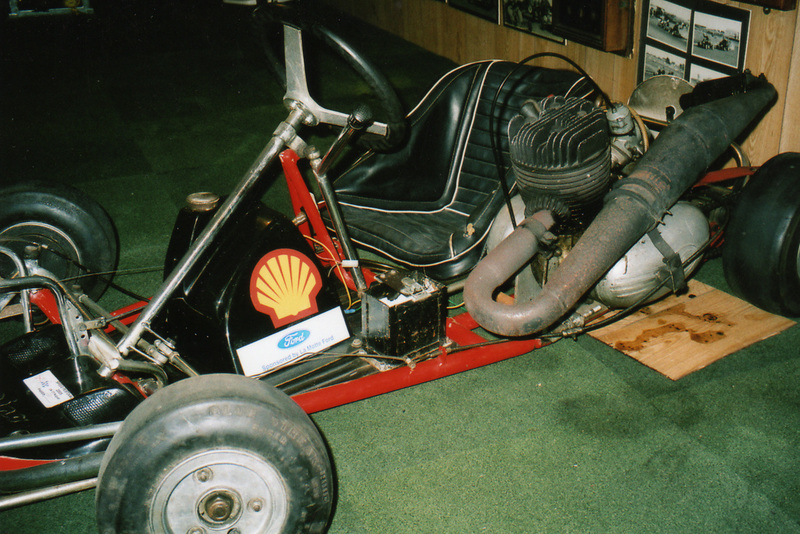 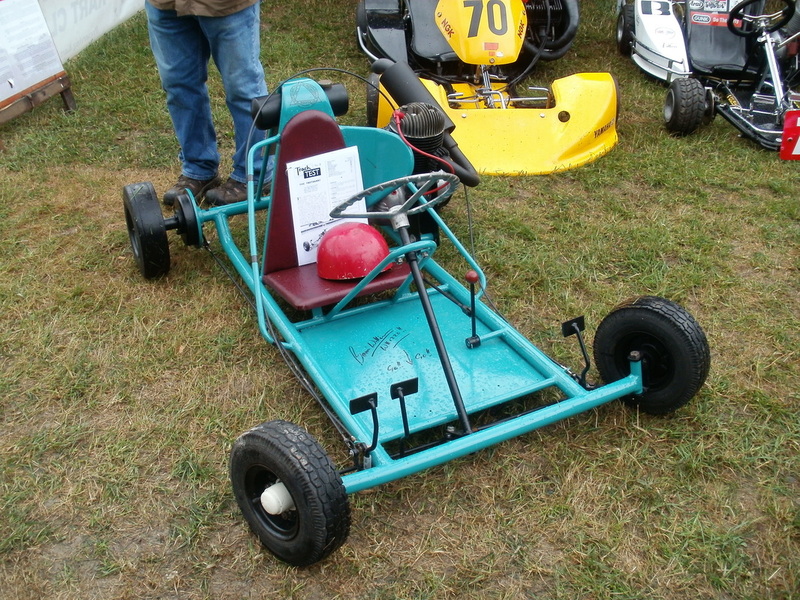 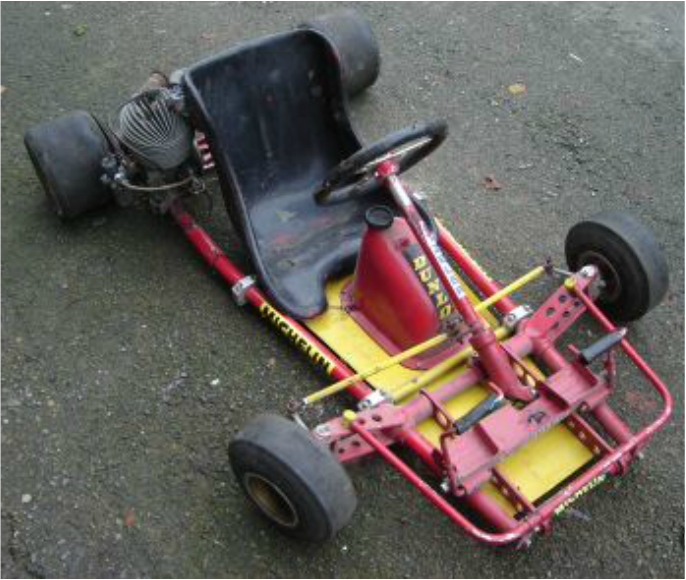 This kart was found in France and is now owned by Ed McDonough. 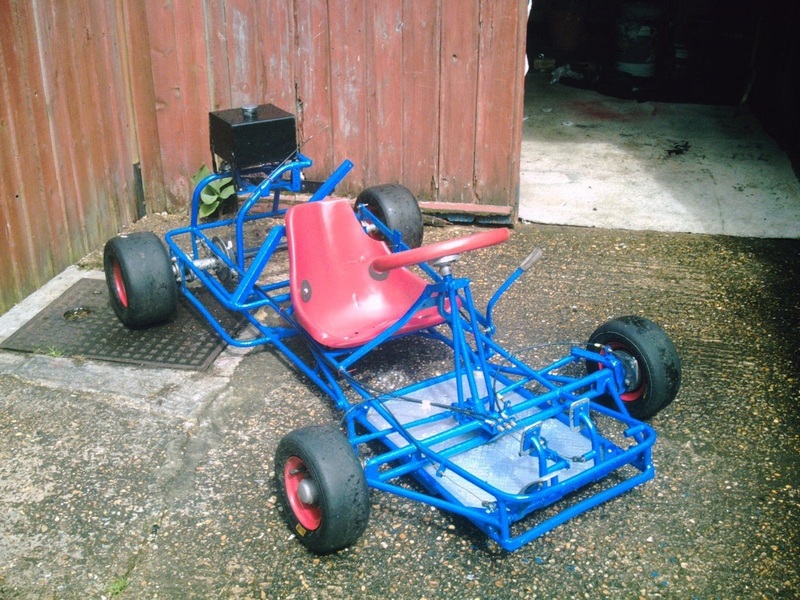 19/05/2014: This kart is for sale, if you are interested in buying it please get in-touch using the CONTACT FORM and I will pass on your details. 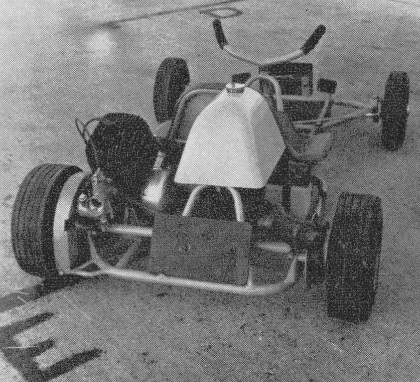 Photographed at Duxford Park, September 1963. 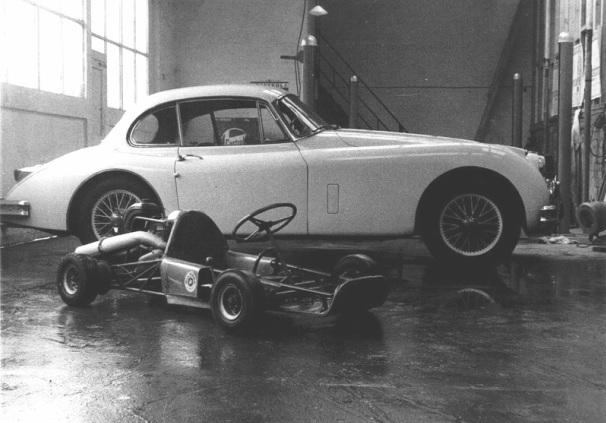 What a great picture, Barrie Maskell's Buckler/Bultaco in the background his fathers Jaguar XK 150. 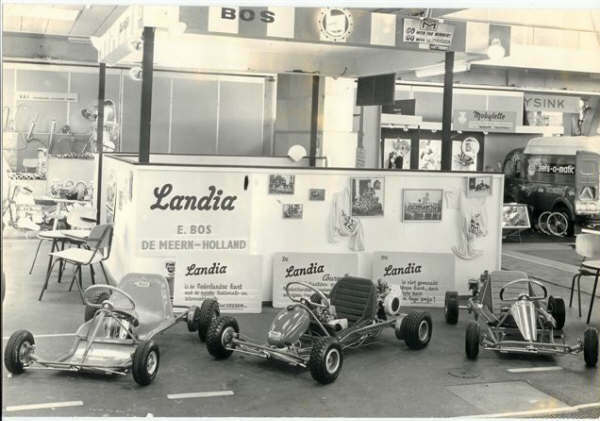 Can you identify the karts? 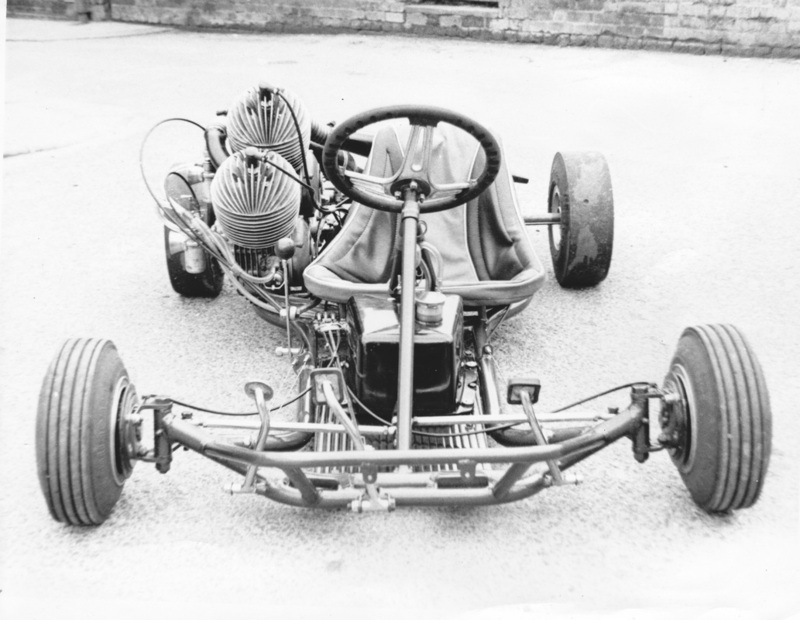 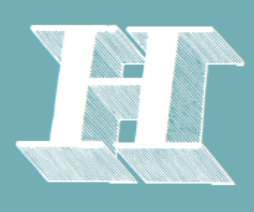 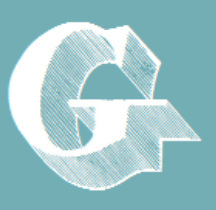 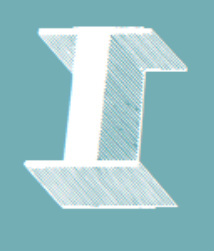 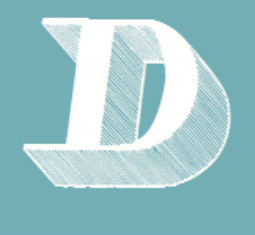 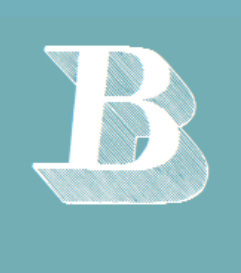 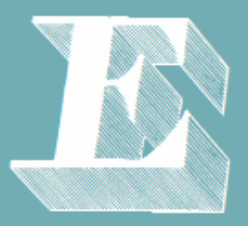 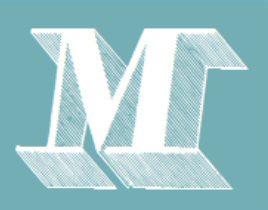 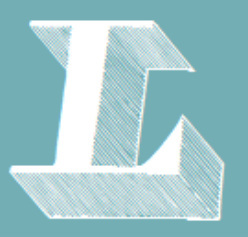 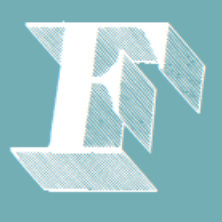 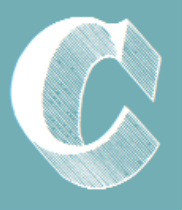 join the forum and give us your input. 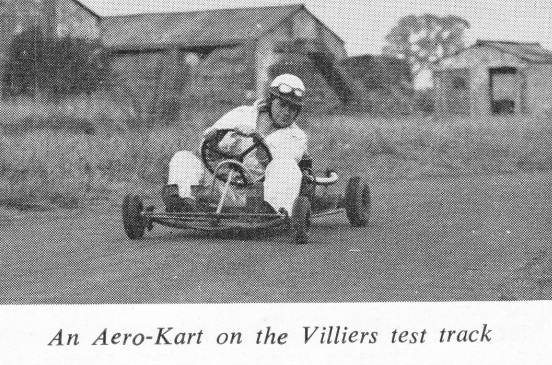 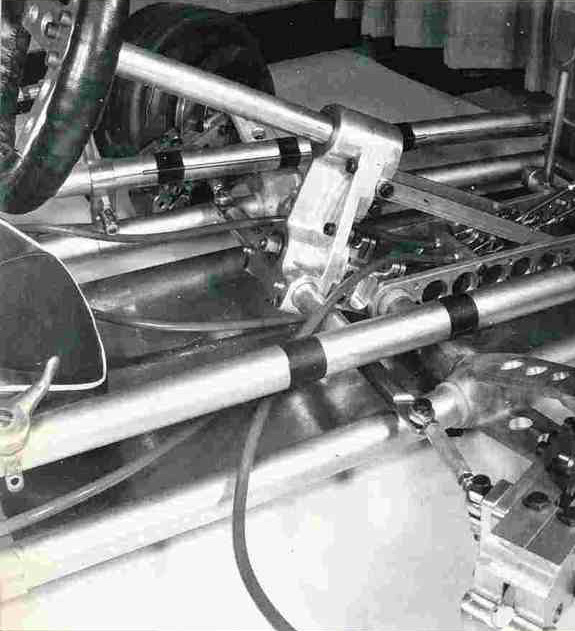 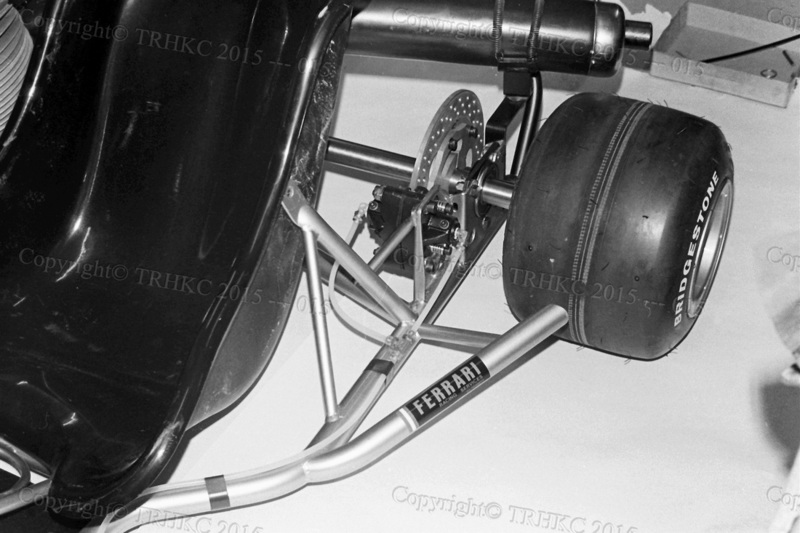 Note: The neat little handle to drag the kart back to the pits once the chain had broken, this became obsolete as soon as the Class 1 drivers discovered a two pint Demestos bottle full of oil and dripped directly on to the chain did the trick, the solution to the criticism of oily circuits was quite simple Blame the Villiers drivers. 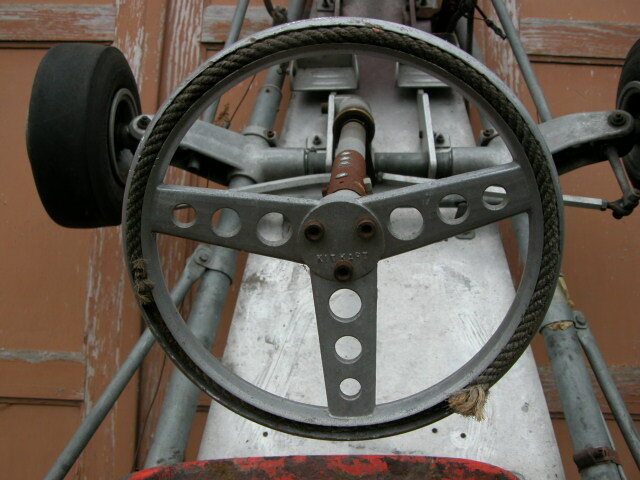 Above: Dale Experimental with Merlin RV. 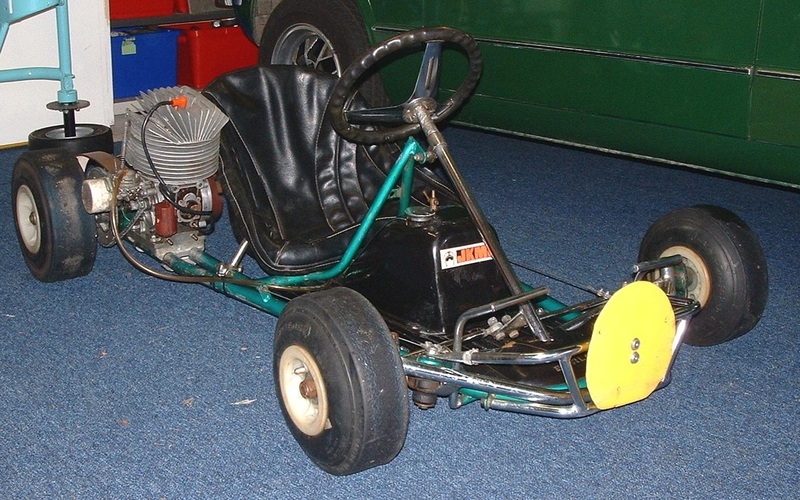 Used by Tom Mac Laren at Charterhall to take the Lap Record. 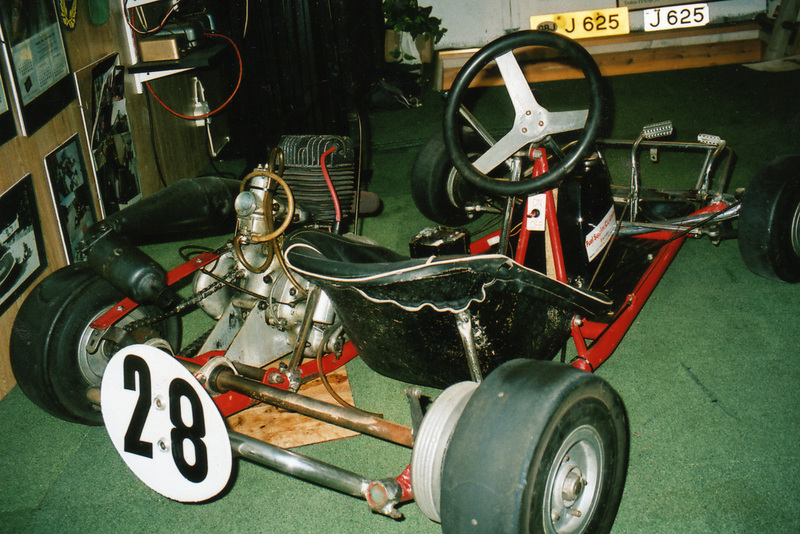 The FastaKart in this picture is in original condition and belongs to Steve Greave: his father owned this kart from new and it features in the Tony Clayton Movie, see if you can spot it. 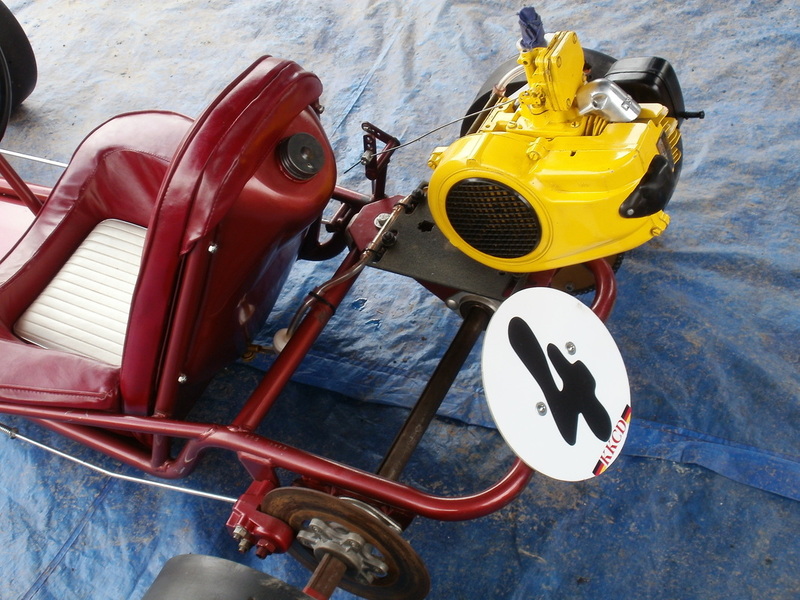 Owned and restored by Rod Latham. 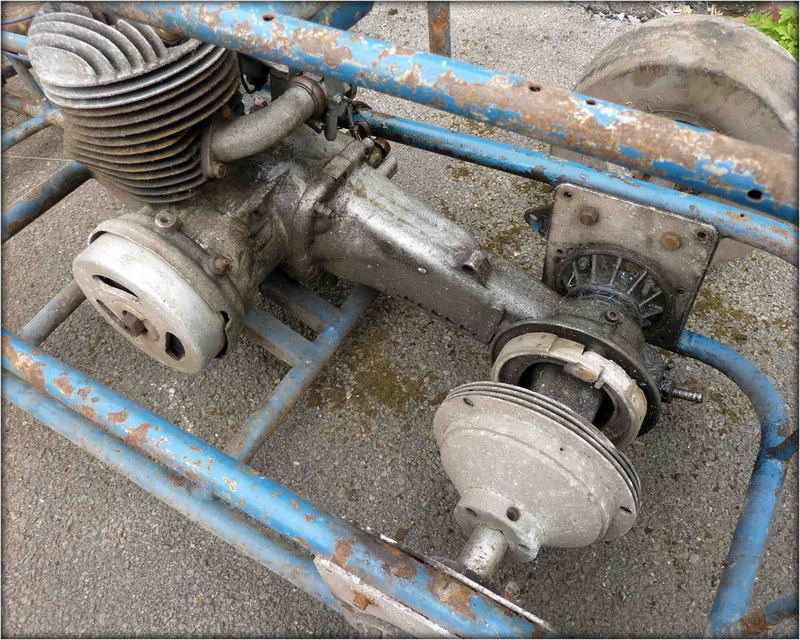 Robardie/Vaquand lookalike, this Imperial was found in Belgium along with the Guazzoni: Tandem Twin and a large quantity of single cylinder Guazzoni engines and spares. 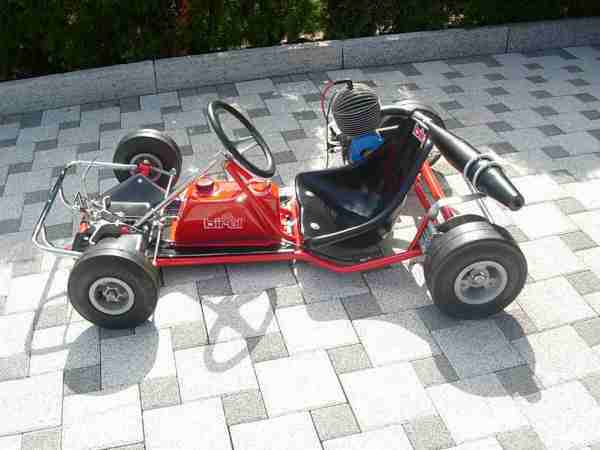 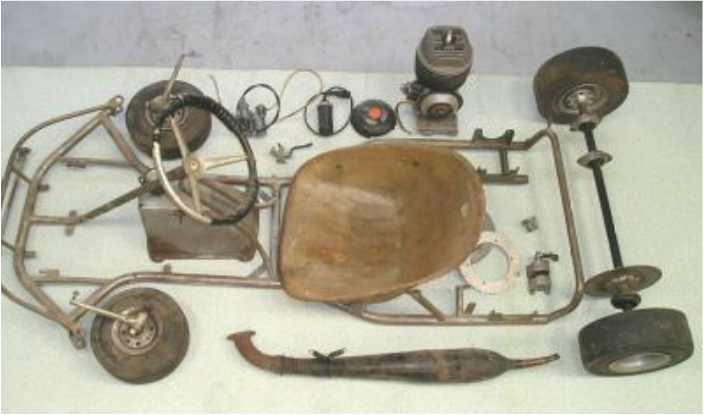 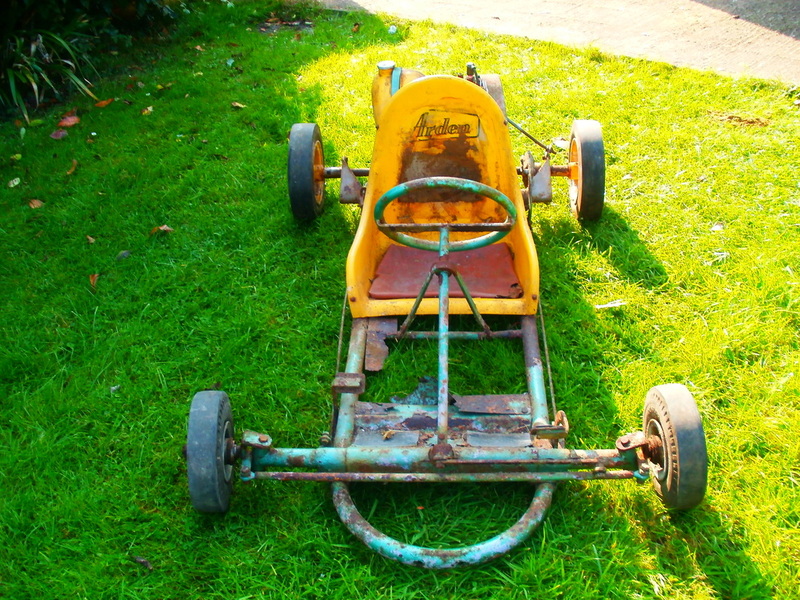 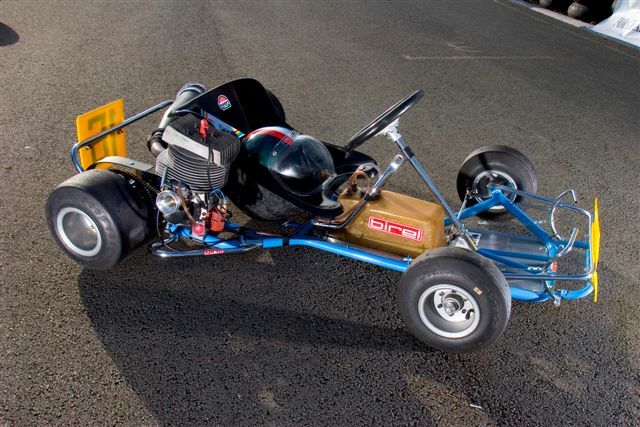 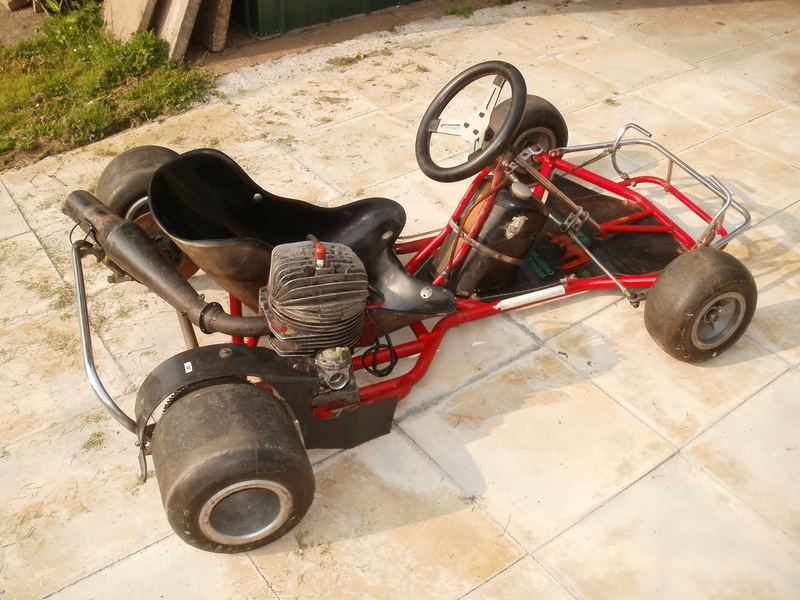 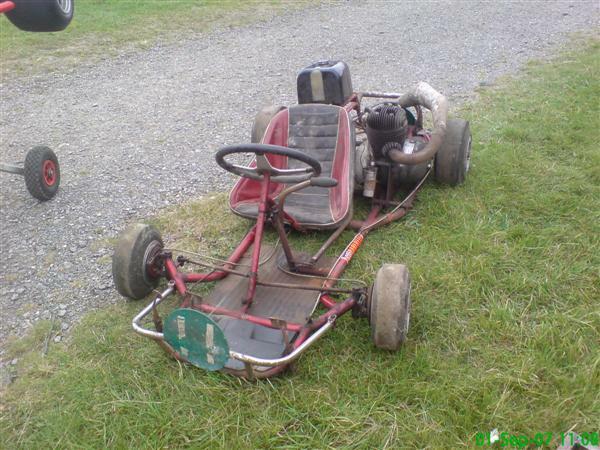 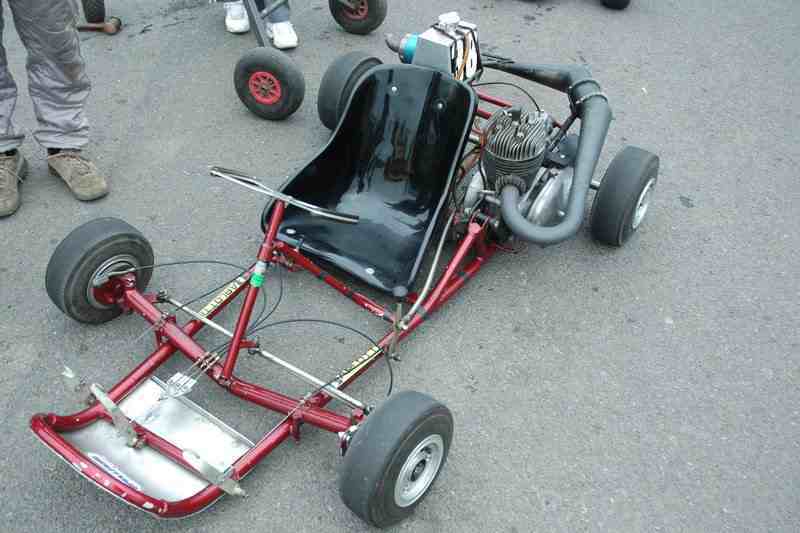 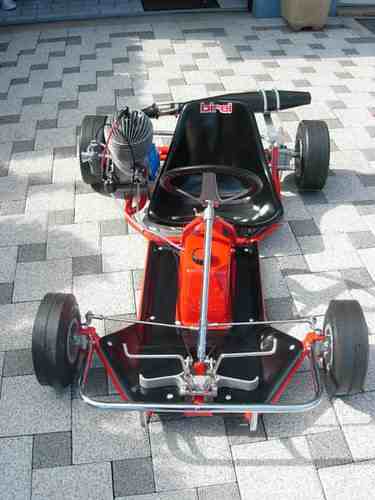 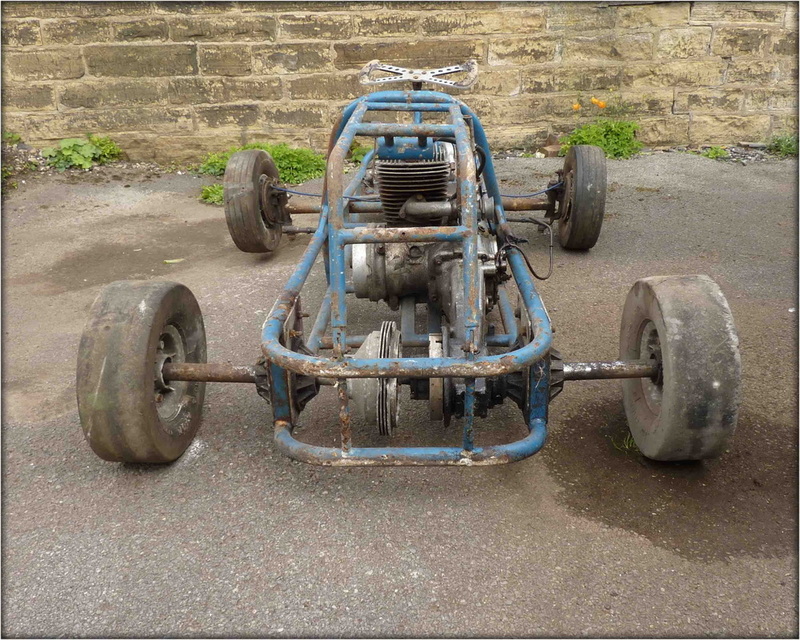 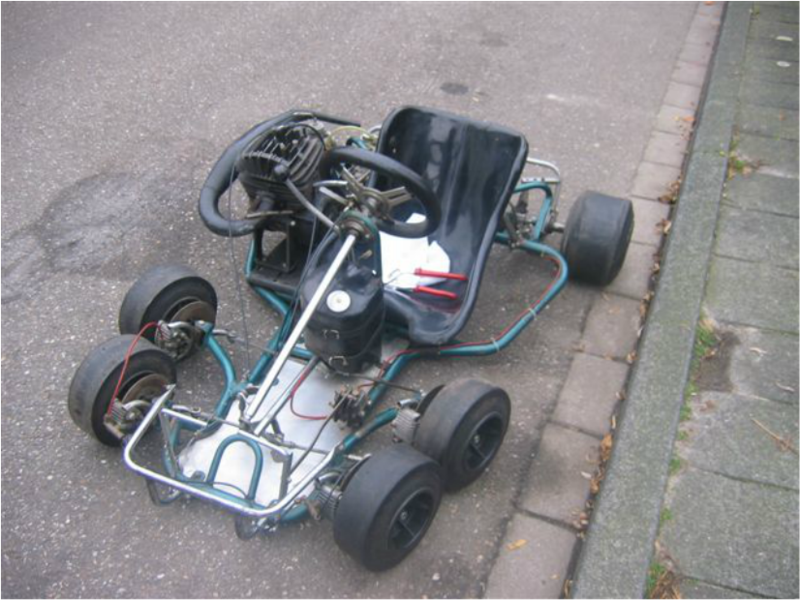 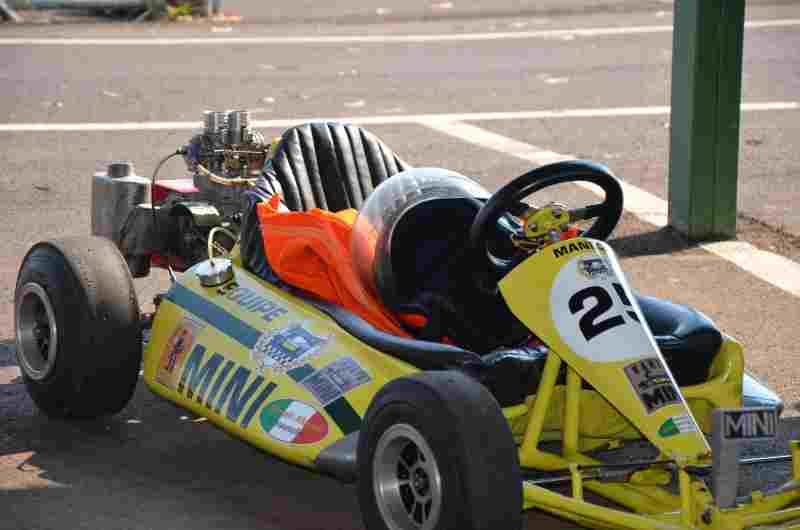 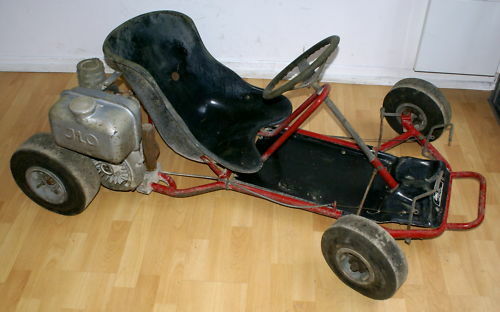 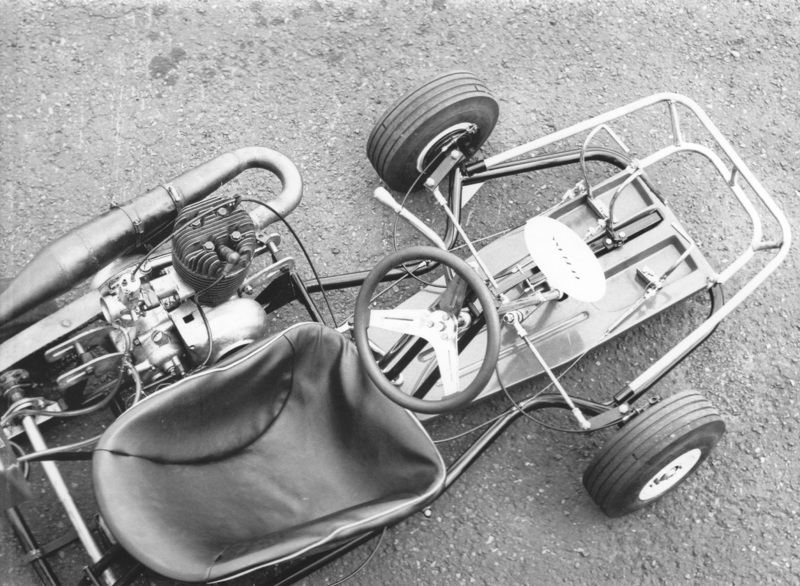 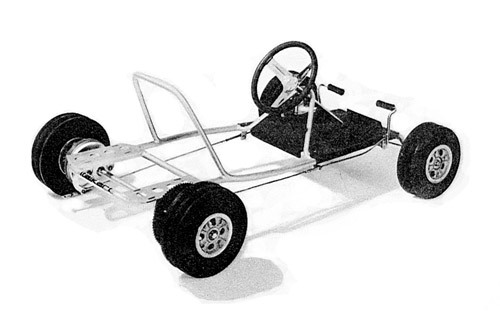 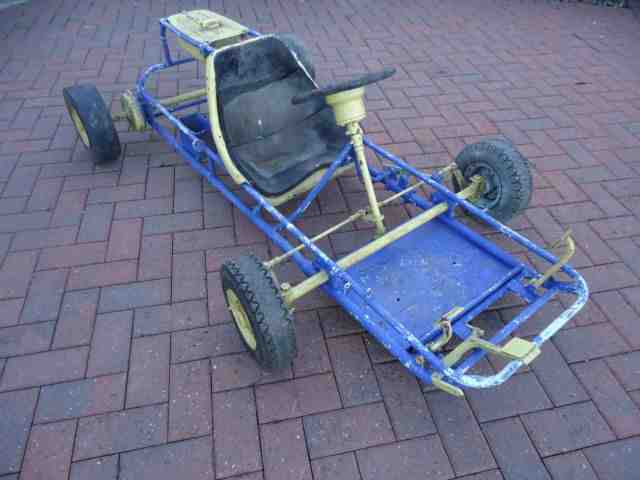 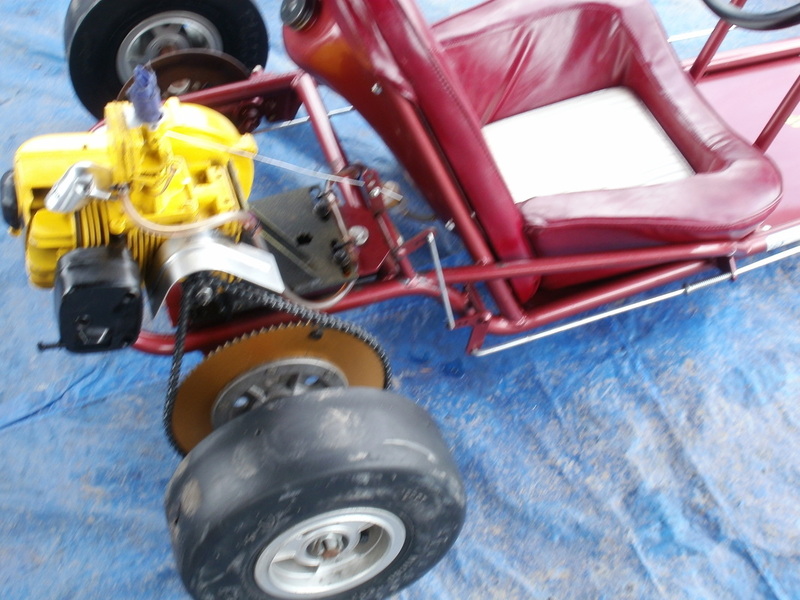 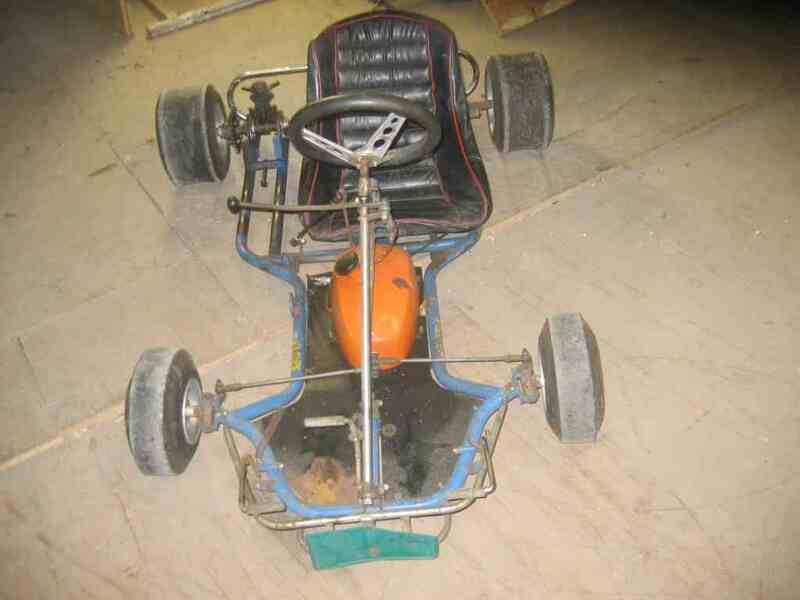 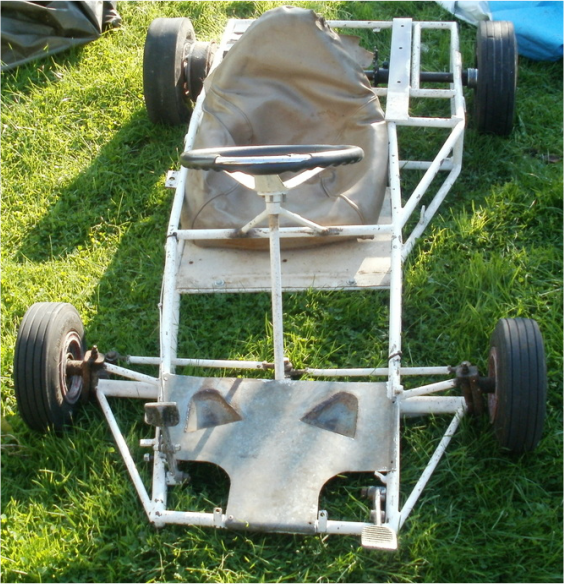 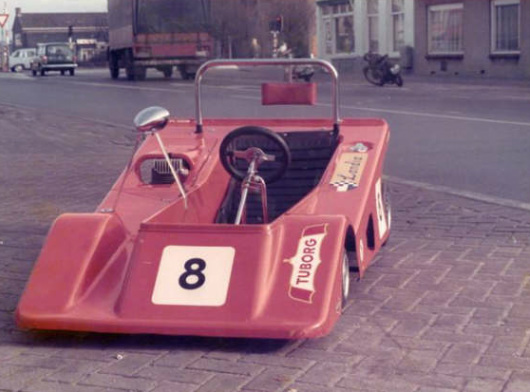 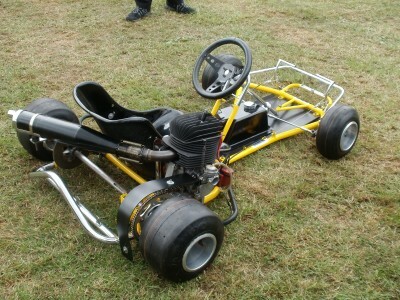 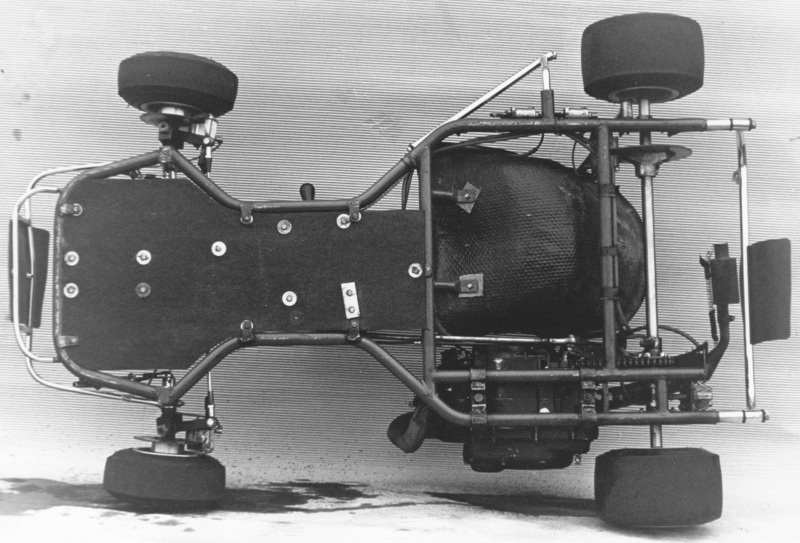 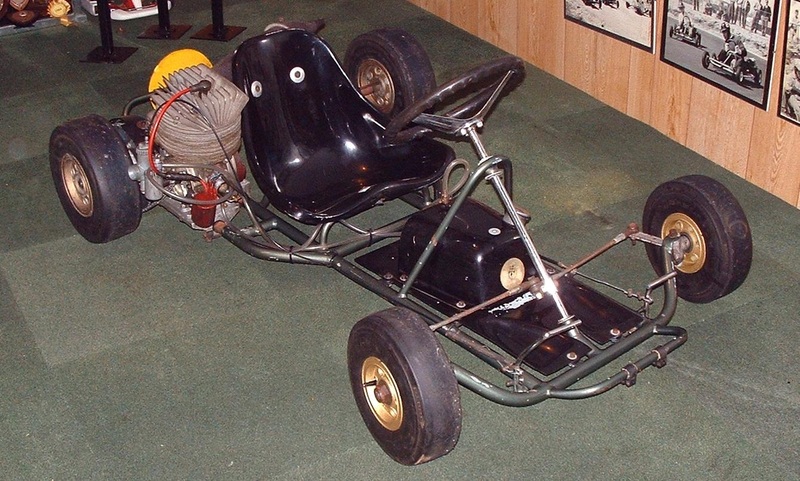 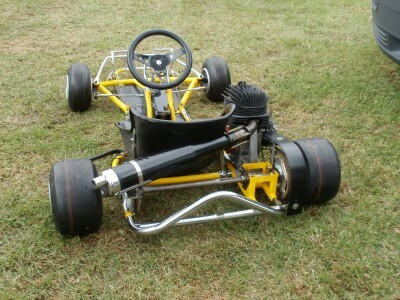 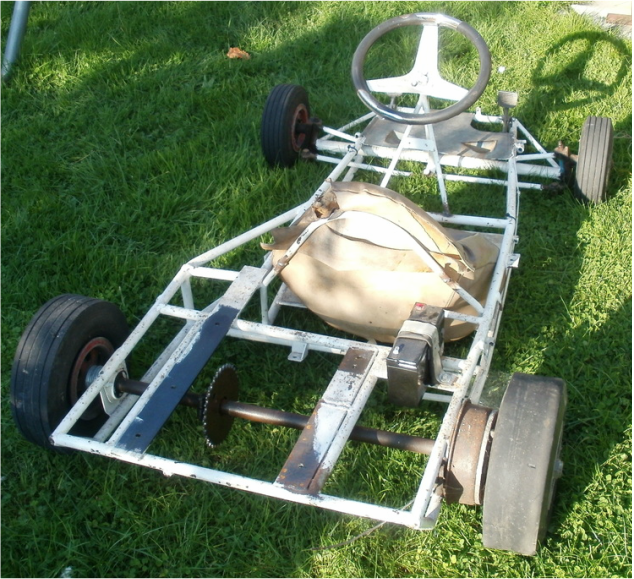 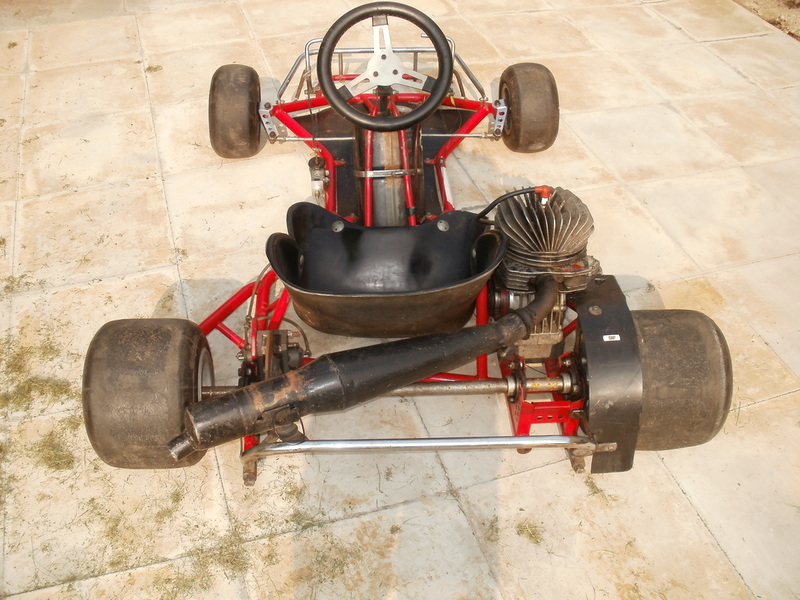 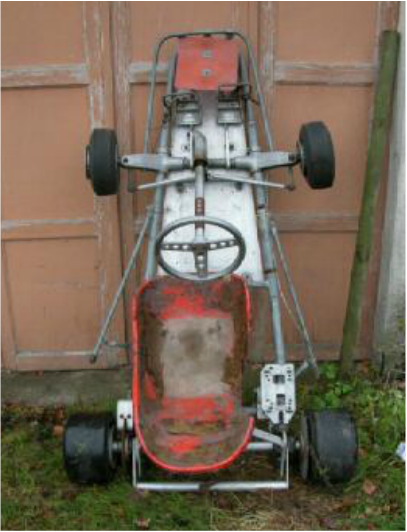 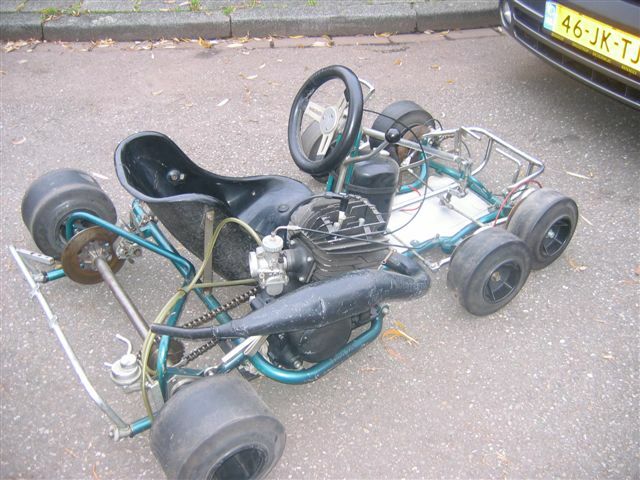 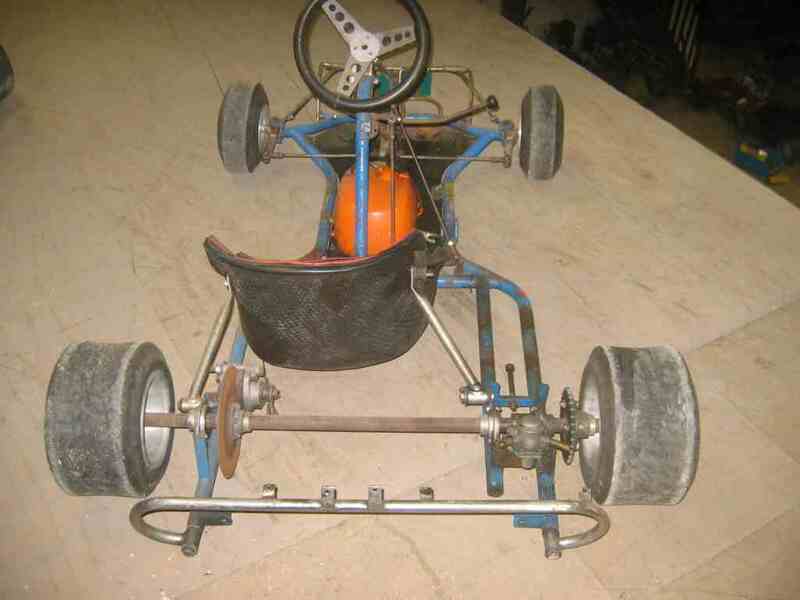 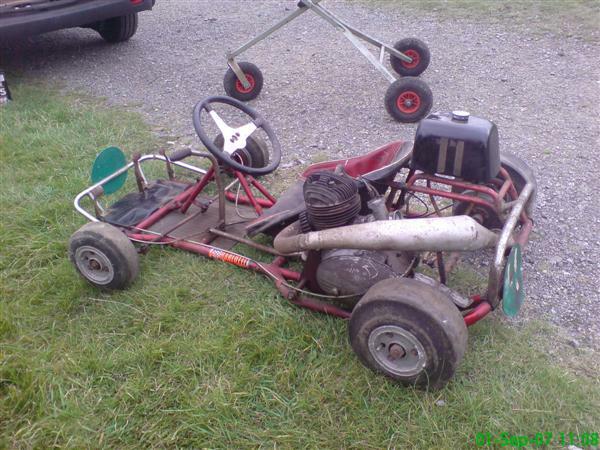 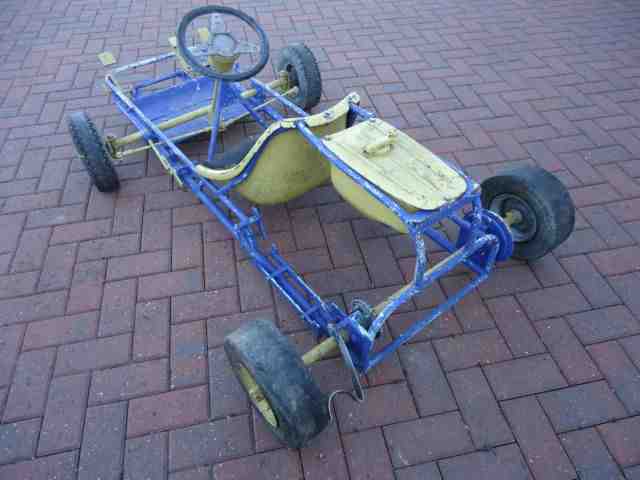 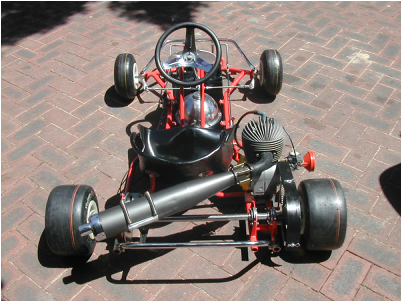 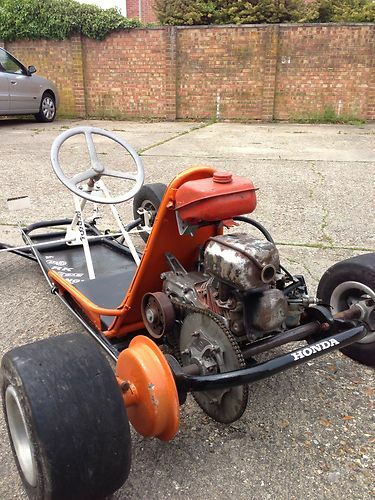 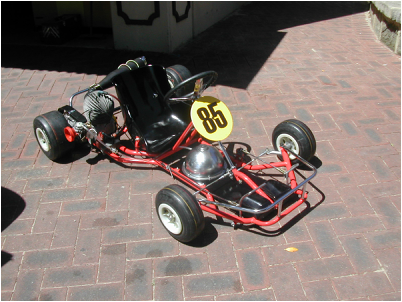 This kart is owned by Manfred Stöcker and is in 100% original condition. 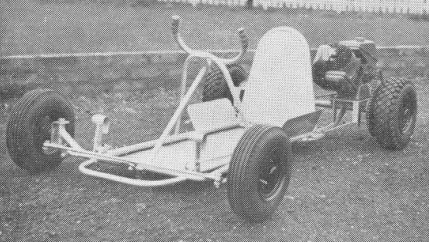 The late and great Alan Button drove one of these at the first World Championships in the Bahamas.